The earthquake risk in California is real, and tall buildings present a particular hazard because they concentrate people and activities, they support critical economic activities, and their scale can pose threats to nearby people and structures. 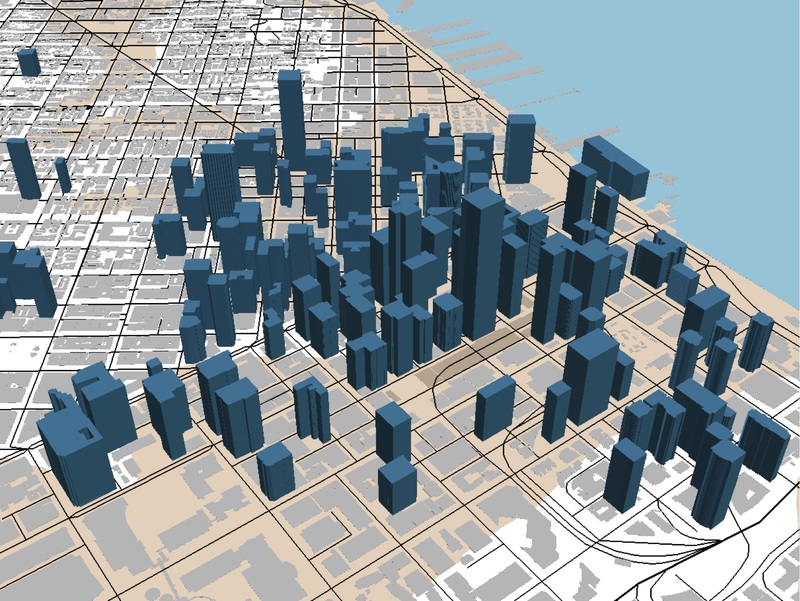 In December of 2018, San Francisco’s Department of Emergency Management released a study of tall buildings focused on damage minimization and quick restoration of functionality. In this podcast we learn about the recommendations in this study from Brian Strong, San Francisco’s Chief Resilience Officer and Director of its Office of Resilience and Capital Planning, the office that oversaw this study. Hundreds of large power plants and a nationwide, interconnected distribution network produce and deliver electricity to homes and businesses in the United States. 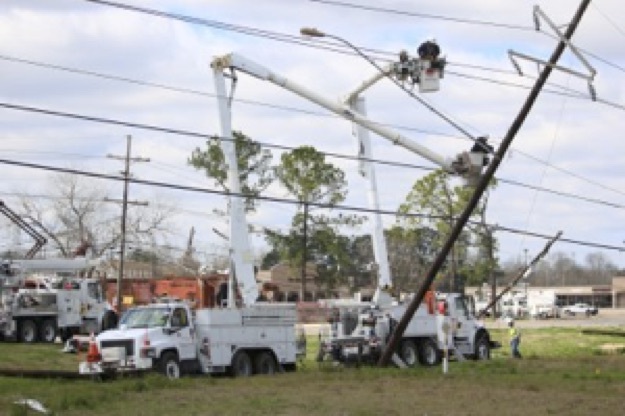 While our electric system is quite reliable (though nowhere near the best compared across nations), cascading failures do shut down parts of the network, and natural disasters, such as hurricanes, snow storms, and earthquakes, can cause widespread power blackouts. Microgrids, partly- or fully-independent sources of localized electrical power, can add resilience and sustainability to the power system. To learn about the characteristics, applications, and motivations for microgrids, we talk with Dr. Chris Marnay, retired staff scientist at Lawrence Berkeley National Laboratory, who is an expert on microgrids and sustainable energy systems. Damaging wildfires in the western U.S. are a growing threat. In California, wildfires destroyed tens of thousands of homes and caused the deaths of nearly 100 people in 2018. Fire also threatens public infrastructure, particularly the highway network, which is essential for both evacuation and the delivery of emergency response resources. 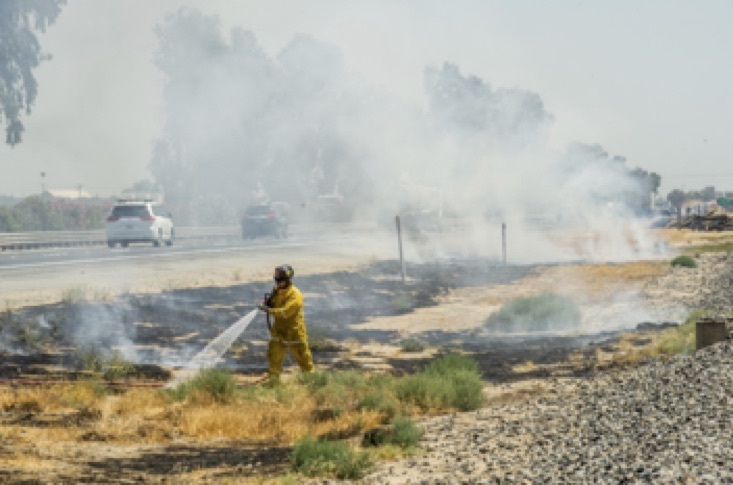 To understand how wildfires have affected the state highway system, we talk with Rene Garcia, who is Chief of the California Department of Transportation (Caltrans) Office of Emergency Management and Infrastructure Protection. Historically, cities grew up near water – rivers, lakes, the oceans – because of the easy mobility it provides. But water presents a barrier as well as an opportunity, motivating the organized use of ships for local transportation. No city in the United States relies more on ferry transportation for commuting, commerce, and recreation than Seattle, Washington. To learn more about the role of the region’s ferries as a part of its transportation infrastructure, we talk with Elizabeth Kosa, Chief of Staff – Ferries, at the Washington Department of Transportation. Ohio River Bridges East Crossing Photo courtesy of the Louisville and Southern Indiana Bridges Authority. Both policy makers and investors are supporting the increased use of private funds to finance new and renewed public infrastructure. This sounds like a good idea, but is it realistic? How do these public private partnerships, called P3s, work? What are their advantages and risks? To teach us more about P3s, we talk with David Pennington, managing director at BMO Capital Markets, who guides both public agencies and private investors on the path to P3s for infrastructure. 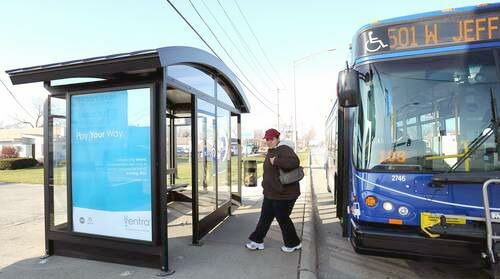 An important function of public transit is providing mobility for people with disabilities. This is particularly challenging because of the broad variety of needs and the complexity of providing appropriate facilities and services as a part of, or separate from, mainstream transit operations. Metro, the Washington Metropolitan Area Transit Authority, serves the Washington, DC metropolitan area with rail transit, buses, and paratransit vehicles. 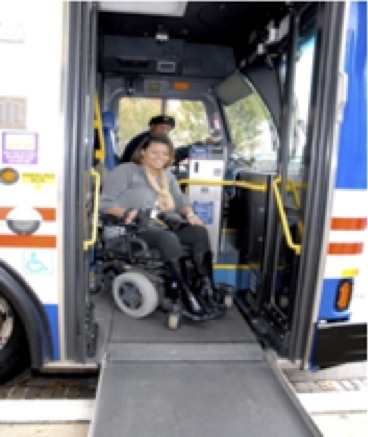 Metro is a leader among U.S. cities in providing accessible transportation. To learn more about how Metro works to meet the needs of the disabled, we talk with David Shaffer, Metro’s Accessibility Policy Officer. Wind has been an important, renewable source of energy for millennia. In recent decades wind power has come into its own, now producing more than 6 percent of U.S. electricity and growing rapidly. Today tens of thousands of wind turbines, many taller than 50-story buildings, dot rural landscapes, and soon will appear off our coasts. The design and construction of large-scale wind farms is a challenge involving energy planning, economics, and engineering. 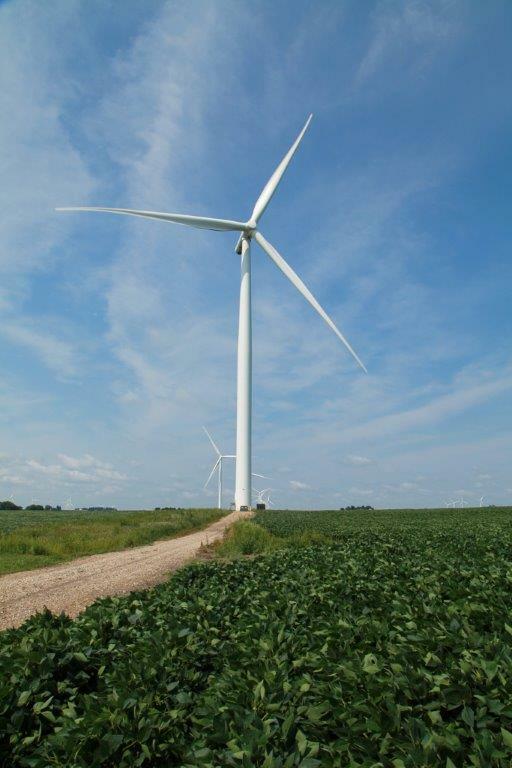 To learn about the development and implementation of the wind energy resource in the Midwest, and the construction and operation of wind turbines, we talk with Spencer Moore, Vice President of Generation of MidAmerican Energy Company, a subsidiary of Berkshire Hathaway Energy, located in Des Moines, Iowa. 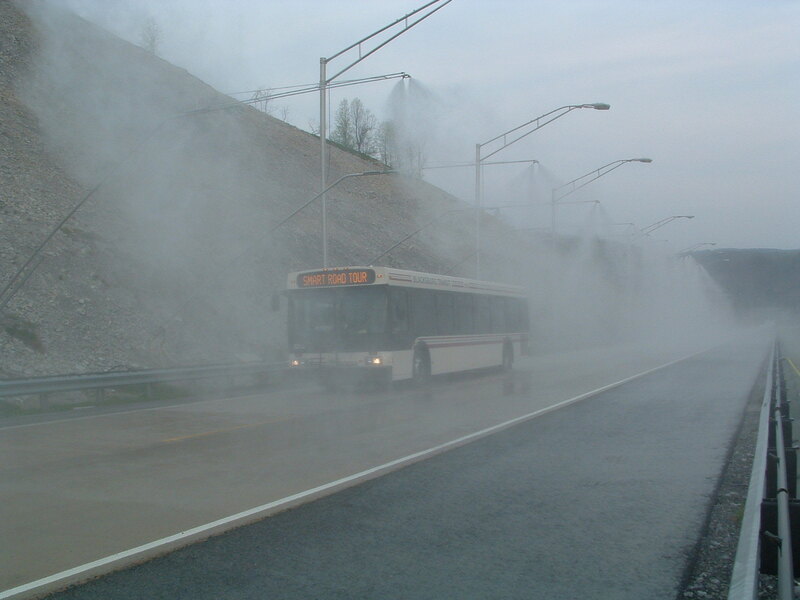 Noise is an almost unavoidable result of the operation of transportation and other infrastructure systems. 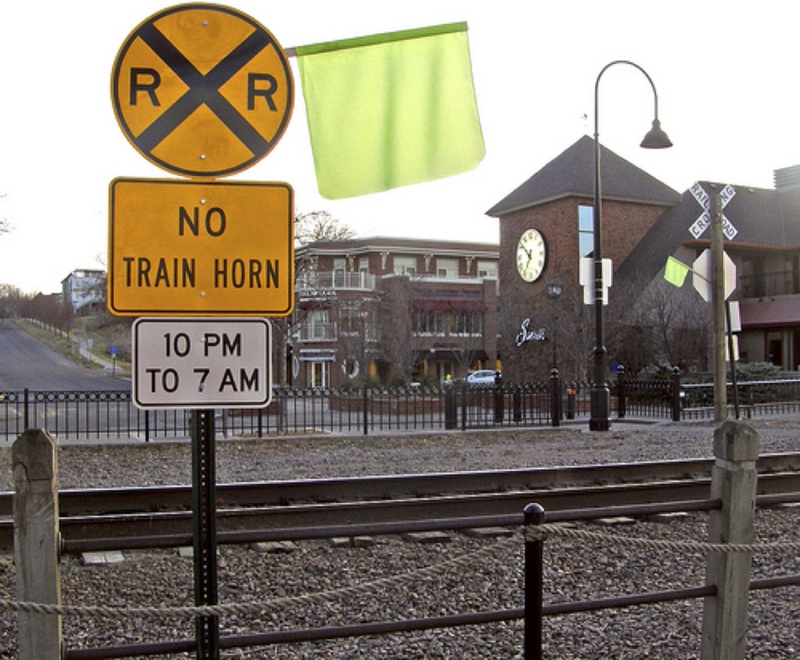 Trains, planes, and automobiles produce noise that can be a warning but is mainly a source of annoyance and sometimes health risk to neighbors, riders, and employees. Measurement and management of transportation noise are complex tasks requiring an understanding of physics, technology, human perception, and economics. To introduce us to some of the problems, methods, and interventions for addressing transportation noise we talk with Dr. Hugh Saurenman, president of ATS consulting, which conducts acoustic evaluations and develops mitigation strategies for transportation facilities. 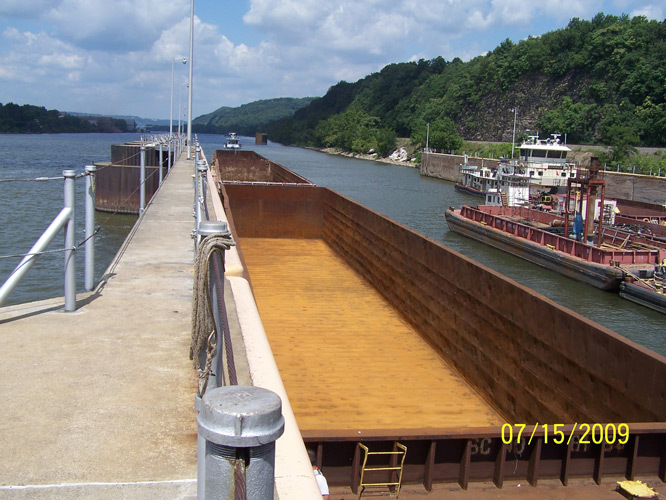 The U.S. inland waterways system provides a highly efficient means for moving large quantities of bulk materials – agricultural products and natural resources – which is important both for domestic industries and the export market. But the locks and dams that support the waterway network comprise an aging infrastructure with limited capacity and almost no redundancy. Planned and unexpected lock closure for maintenance and rehabilitation impose substantial costs on our economy. In this podcast we discuss the condition, performance, and funding of the inland waterways system with Dr. Craig Philip, who is Research Professor at Vanderbilt University and Director of VECTOR, the Vanderbilt Center for Transportation and Operational Resilience. Before joining Vanderbilt, Dr. Philip spent 30 years in the barge industry, 14 as President and CEO of Ingram Barge Lines, now the largest domestic maritime operator in the United States. The integrity of our infrastructure can be critical to life safety. Nowhere is this more obvious than our bridges. There are over 600,000 highway bridges in the United States, as well as a large number of transit, railroad, and pedestrian structures. Having timely and objective knowledge of the condition of these bridges is essential to assure their safety and efficiency. 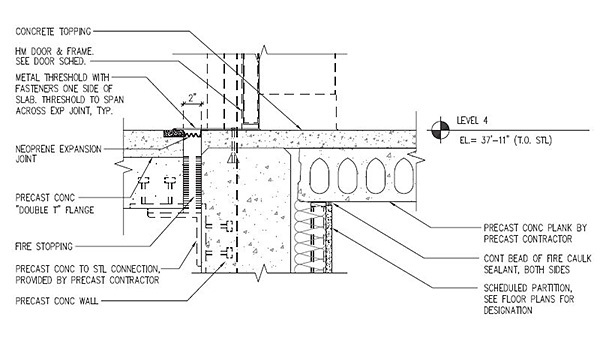 That knowledge comes from a program of systematic bridge inspections. 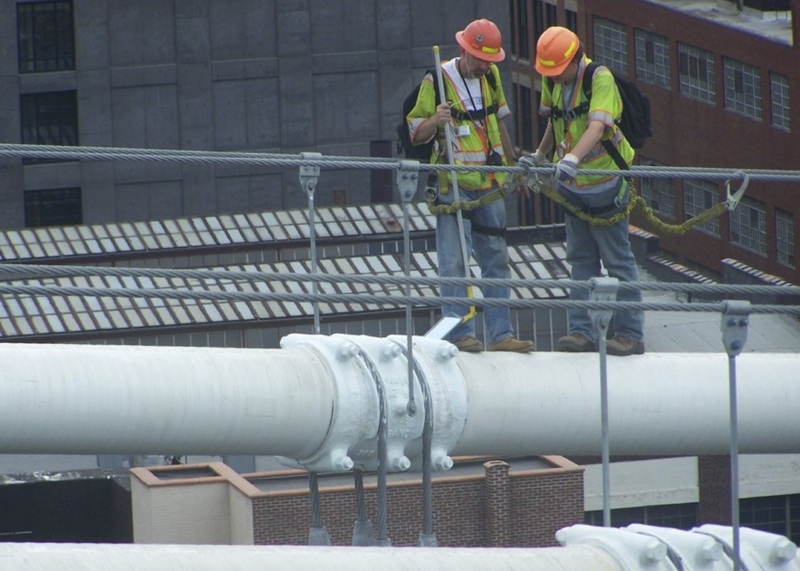 To help us understand the responsibilities and processes of bridge inspection, we’re talking with Dr. Sreenivas Alampalli, who is Director of the Structures Evaluation Services Bureau of the New York State Department of Transportation. Urban mobility and traffic congestion present challenges to cities around the world. Many modes and service concepts are intended to meet these mobility needs. Bus rapid transit, BRT, is a competitive option because of its service quality and capacity, as well as its potential to be less costly than fixed rail transit options. To learn about the promise and delivery of BRT in the US and around the world, we talk with Samuel Zimmerman, an experienced transportation planner, a consultant to the World Bank, and an expert on bus rapid transit. 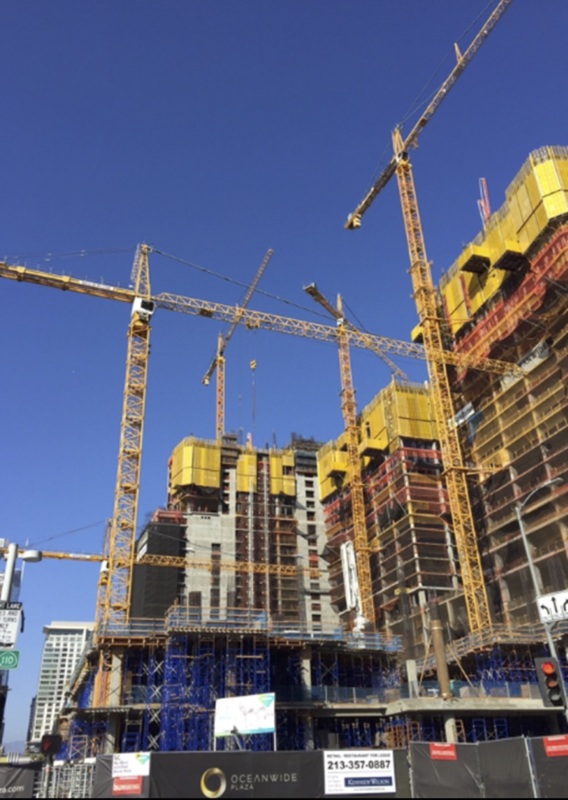 Photo of tower crane provided by Crane Safety & Inspections, Inc.
Cranes are prominent on the skyline of every city, serving as a measure of the pace of development. They are essential tools for infrastructure construction, a source of fascination for the sidewalk superintendent, and in some cases, a source of risk. To explore the role, functioning, and safety of large cranes in construction we talk with Greg Teslia, President, Crane Safety and Inspections, of Coral Springs, Florida. Managing and treating stormwater is a challenge to many cities. Building treatment plants with sufficient capacity to process large volumes of runoff that occur occasionally is not cost effective. 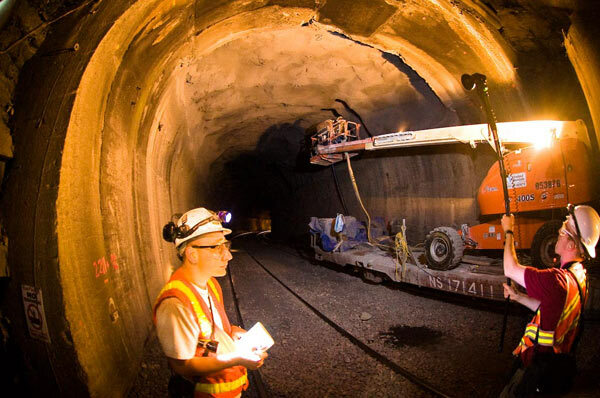 The District of Columbia, facing a Federal consent decree to treat its stormwater, has been building subterranean storage tunnels but is now testing green treatment options that, if they work, could save much money in the long run. This experiment is funded with an unusual bonding arrangement in which lenders are betting on its success. To learn about this approach we talk with George Hawkins, Chief Executive Officer and General Manager of DC Water. Field archaeologists mapping archaeological deposits in Ottawa County, MI in advance of M-231 construction; photo courtesy of MDOT. Almost every infrastructure system has its foundation in the earth, and the earth can hide interesting and important secrets from the past. This creates what is perhaps a surprising role for archeology in infrastructure construction. To anticipate, identify and preserve valued subsurface finds, many infrastructure agencies engage archeologists as full-time professionals or contractors. 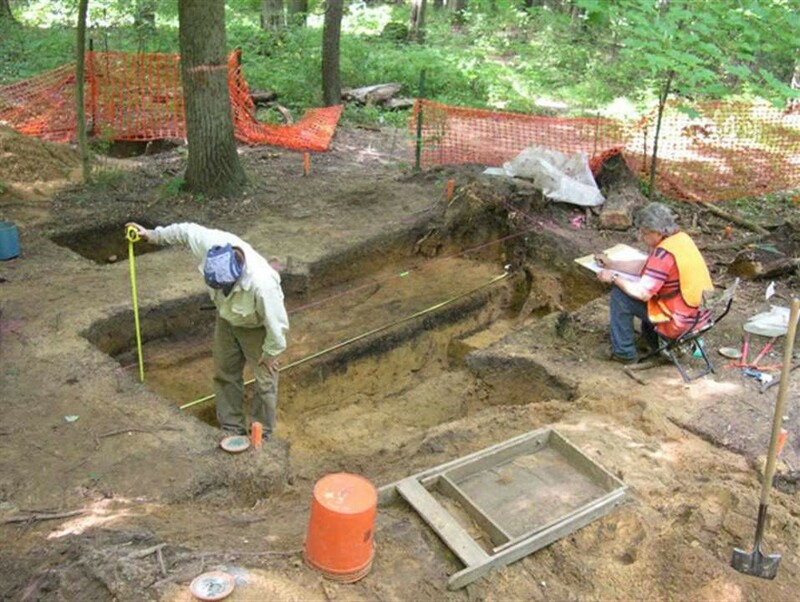 In this interview we learn about the archeology-infrastructure connection from James Robertson, who is senior archeologist with the Michigan Department of Transportation. Tall buildings mean vertical transportation, and elevators, the machines that do the heavy lifting for us, have made those buildings possible. 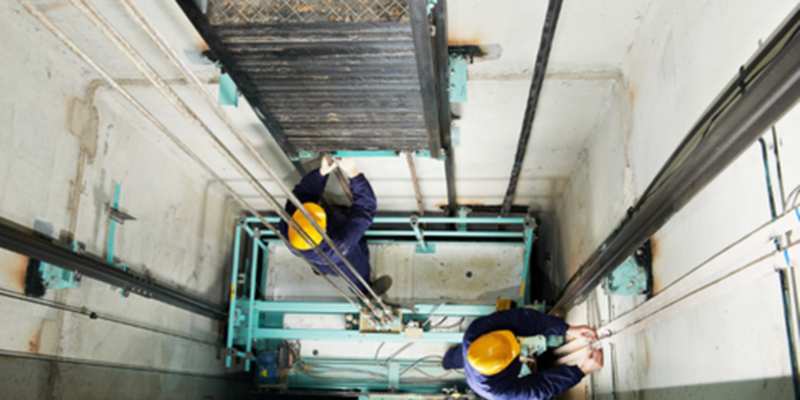 Building height and elevator capabilities have evolved together, and new needs and concerns for sustainability are bringing about changes in elevators themselves. In this interview we talk with Thomas Leslie, who is Morrill Pickard Chilton Professor of Architecture at Iowa State University. He works on the integration of building sciences and arts, and his 2013 book, Chicago Skyscrapers, 1871-1934, is a valued source on the effects of technologies and materials on building design. 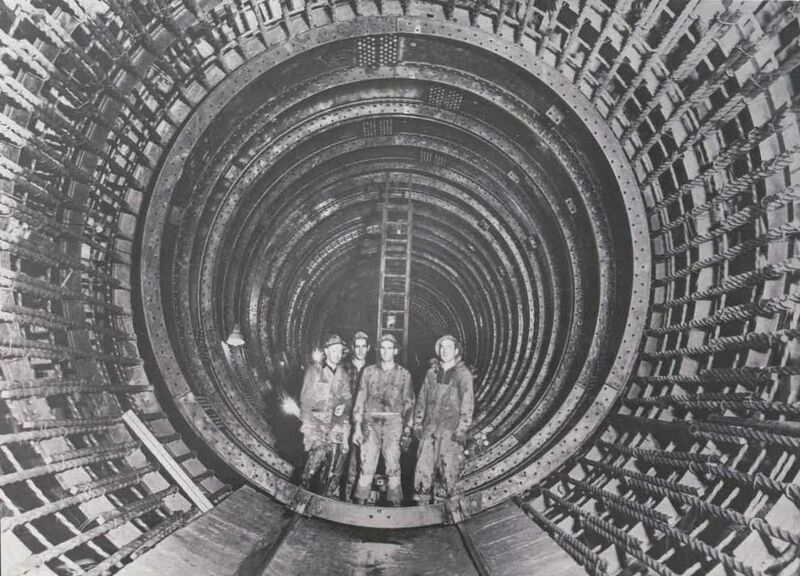 Workers inside movable concrete formworks, Delaware Aqueduct, October 31, 1940; photo from Kevin Bone's book Water-Works the Architecture and Engineering of the New York City Water Supply System. Clean and plentiful water is essential for life. New York City has the largest municipal water system in the United States. More than 10 million people rely on this complex of reservoirs and aqueducts, some of which are more than a century and a half old. In this podcast we learn about the structure, history, and current state of the New York City water supply system from Kevin Bone, Professor and Director of the Institute for Sustainable Design at the Irwin S. Chanin School of Architecture at The Cooper Union in New York City. His edited book, Water-Works – The Architecture and Engineering of the New York City Water Supply System, Monacelli Press, 2006, describes the development of the fresh water system for New York. Chicago is the rail hub for the nation, served by six of seven Class I railroads that form the major interchange point for east-west rail traffic. 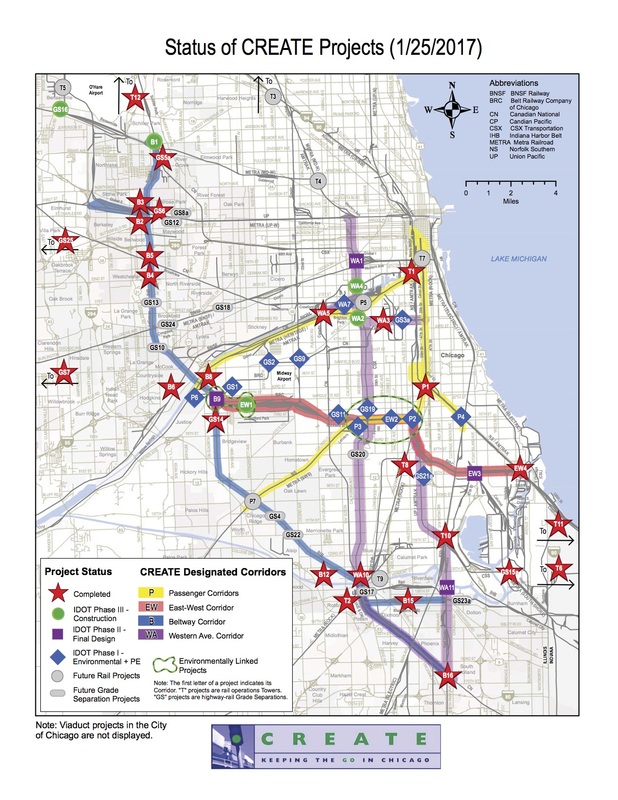 Because of the large number of rail and road conflicts, Chicago is also the focal point for congestion and delays on the national rail network. 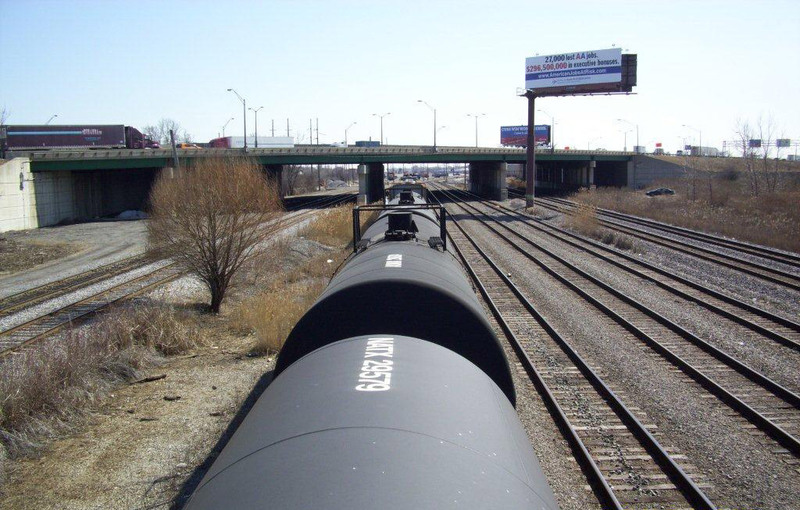 To address this problem, in 2003 the railroads joined forces with federal, state and local governments to establish a partnership called CREATE, for the Chicago Region Environmental and Transportation Efficiency Program. In this interview we talk with William Thompson, Chief Engineer of CREATE, who explains its mission, projects, and progress. Securing the money to maintain public infrastructure continues to be a top priority in the United States. The surface transportation system, roads, bridges, and public transportation facilities, need ongoing investment to assure that they meet economic and social needs. In January, 2017, the State of Pennsylvania increased its gas tax to become the highest in the nation, working under 2013 legislation that restructured the state’s approach to transportation funding. Since then Pennsylvania has made considerable progress renewing and improving its transportation infrastructure. In this interview we talk with Roger Cohen, Policy Director for the Pennsylvania Department of Transportation, to learn about his state’s strategy and progress. The American Society of Civil Engineers (ASCE) is a strong advocate for infrastructure in the United States. Its quadrennial Infrastructure Report Card has brought us a comprehensive assessment of that infrastructure since 1992, and the picture has not been a pretty one. Reviewing 16 major types of infrastructure, the ASCE report card tells us how we’re doing and offers directions for essential improvements. In this interview we talk with Casey Dinges, Senior Managing Director of the ASCE, about the 2017 report card. 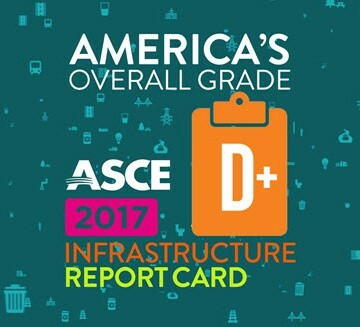 More details on ASCE’s Infrastructure Report Card is at www.infrastructurereportcard.org. Big infrastructure projects often present the need to move very large objects, such as parts of chemical processing plants or even entire bridges. The capacity for moving massive components has grown to an impressive scale. In this podcast we talk with Jack Tol, Senior Sales Engineer with Mammoet, a company that provides solutions for lifting and moving large and heavy structures. 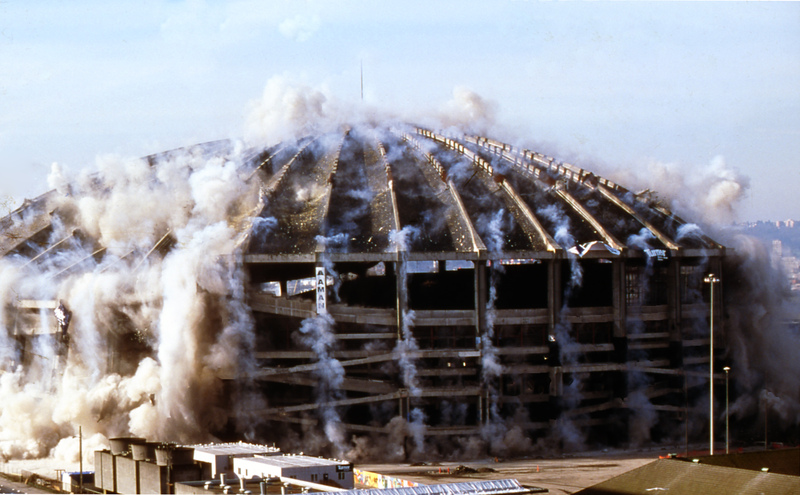 Explosive demolition of the Seattle Kingdome, March, 2000 Credit: Picture courtesy of Controlled Demolition, Inc. When infrastructure becomes obsolete, unsafe, or the need for it goes away, and when the space is better used for something new, that facility must be demolished. Structures are usually disassembled piece by piece, but sometimes controlled explosion may be more efficient or necessary. This process may be no less complex than building a structure anew. In this interview we talk with Mark Loizeaux, President of Controlled Demolition, who tells us about how explosives are used to remove structures rapidly and safely. Forecasts of the costs and benefits of infrastructure projects are important for making informed investment decisions. However, there have been many instances of major cost overruns and unexpected low utilization of new facilities. 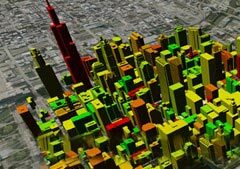 To explore the nature and pattern of such prediction errors and what we can do to make more accurate predictions, we talk with, Dr. Martin Wachs, Distinguished Professor Emeritus of Urban Planning at UCLA, formerly with the RAND Corporation and before that professor at UC Berkeley. 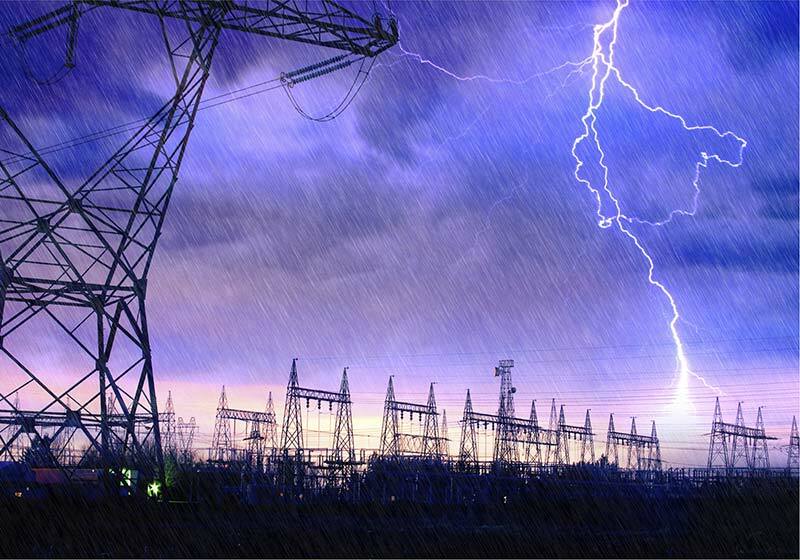 A variety of natural and intentional events can disrupt components of the U.S. power grid, including large and small storms, vandalism, and cyber attacks. In this podcast, Thomas Overbye, Professor of Electrical and Computer Engineering at the University of Illinois – Urbana-Champaign describes the functioning of the grid, some of the risks it faces, its resilience, and mitigation actions for both grid operators and households. Lead in the water supply is a serious threat to public health and a particular danger to children. 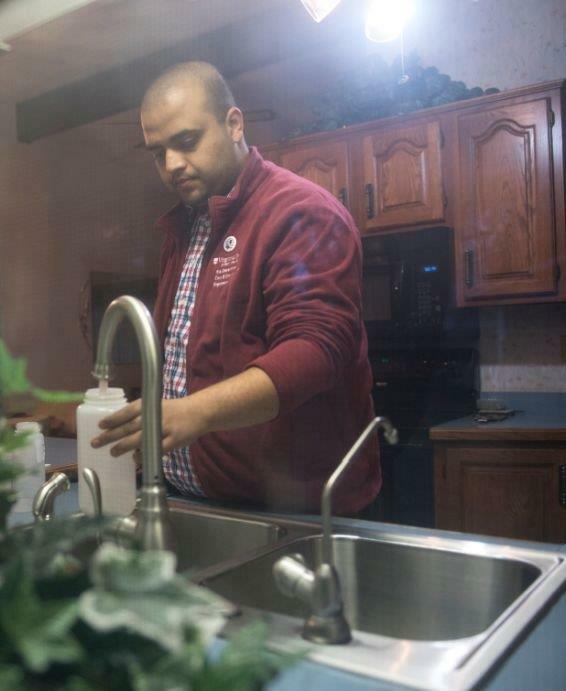 Water supplies in many U.S. cities carry unacceptable lead concentrations because of the use of lead pipes, especially where protective water additives are not used. In this podcast we talk with Marc A. Edwards, professor in the Environmental and Water Resources Engineering group at Virginia Polytechnic Institute and State University, who has been actively engaged in both testing municipal water systems for lead, notably in Flint, Michigan and Washington, D.C., and advocating mitigation through the use of additives and the replacement of lead pipes. 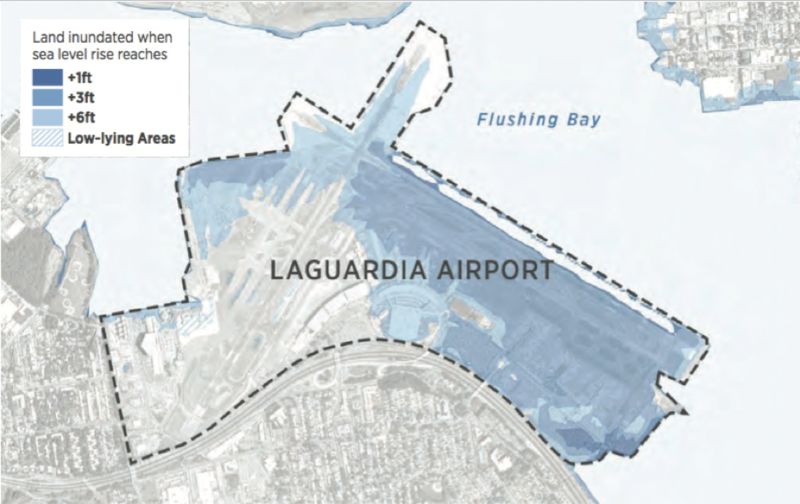 The threat of damaging storm surges grows as sea levels rise and the frequency of severe storms increases. 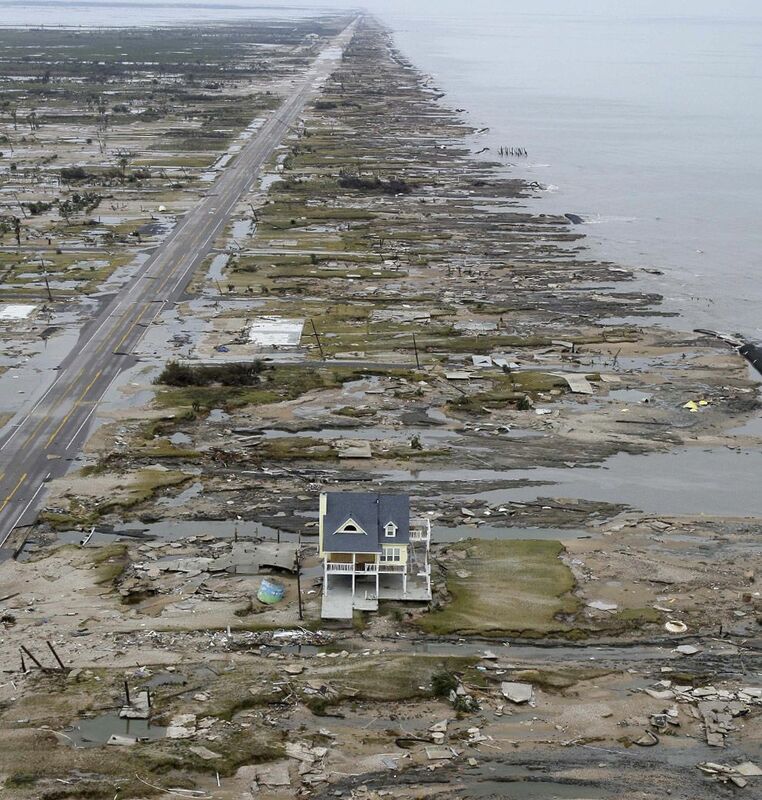 Some U.S. cities on the east and Gulf coasts are particularly vulnerable to storm surges. Houston is the fourth-largest city in the country, home to the nation’s largest refining and petrochemical complex, and it may be right behind Galveston in the path of the next big Gulf hurricane. This area has been hit hard by past hurricanes, which underscores the importance of protecting it. In this podcast, Prof. Wesley Highfield of the department of Marine Sciences at Texas A&M University at Galveston discusses storm surge risks, protective options, decisions to act, and lessons for other coastal cities. Photo of DJI Phantom Vision 2+ quadcopter provided courtesy of Denver Public Works. Unmanned aerial cameras – drones – are becoming a standard part of the infrastructure management toolkit. They are particularly useful for inspecting widely dispersed facilities in areas than can be difficult to navigate on the ground. Although there are important flight restrictions that preclude operations over populated areas, there is a growing set of applications in surveillance and inspection for large-scale infrastructure systems. In this discussion, Kevin Lewis of the Denver Department of Public Works describes the merits of using an off-the-shelf quadcopter drone to inspect critical flood control structures. Airports connect cities to the nation and the world, securing the economic viability of regions. Tampa International Airport supports important recreation and business markets, and its passenger throughput is expected to double in the next 30 years. To prepare for that growth, airport leadership has developed a three-phase master plan, construction for the first phase of which will be completed in 2017. Key changes include a new rental car facility, connected by a new people mover, and an expanded main terminal. 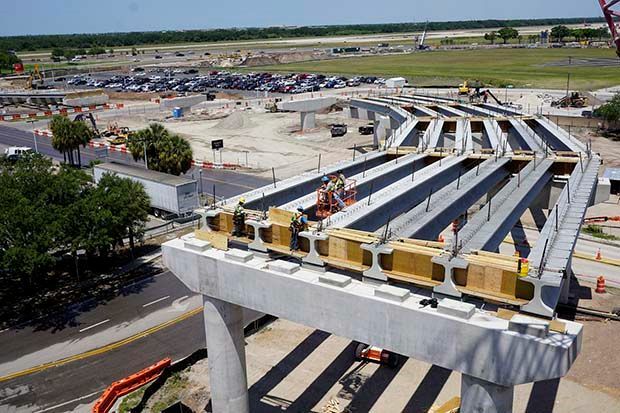 In this podcast we learn about the master plan and the evolution of the airport infrastructure from Al Illustrato, who is Vice President for Facilities and Administration for the Tampa Airport. 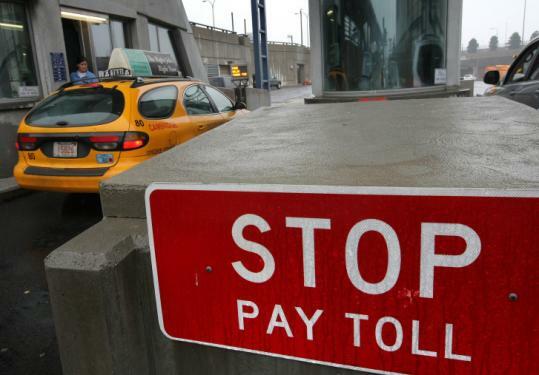 The New York State Thruway Authority is replacing the 6-decades-old Gov. Malcolm Wilson Tappan Zee Bridge north of New York City. 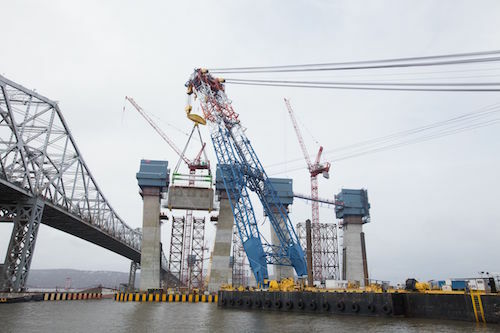 To accelerate completion of the New NY Bridge, fast-tracked environmental permitting, procurement and labor agreements were combined with design-build contracting to advance a plan discussed for more than a decade to a new bridge opening in 2018. In this podcast we talk with David Capobianco, Director of Structural Design for the Thruway Authority about the features of the bridge and the process for delivering it. There are many floating bridges in use around the world, but the Seattle region has three large bridges of this design. The State Route 520 Bridge over Lake Washington, the Gov. 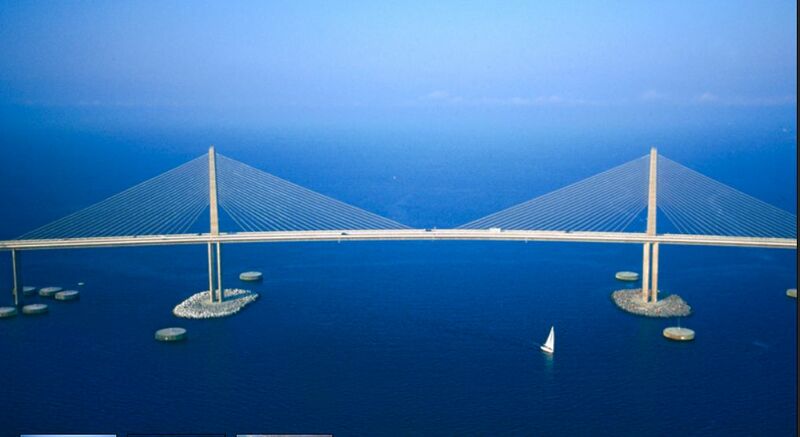 Albert D. Rosellini Bridge, is the longest in the world. Heavily used and assaulted by wind and waves for more than five decades, this bridge has been replaced by a new facility. Here to tell us about this large and complex project is Julie Meredith, Washington State DOT Administrator of the SR 520 replacement program. 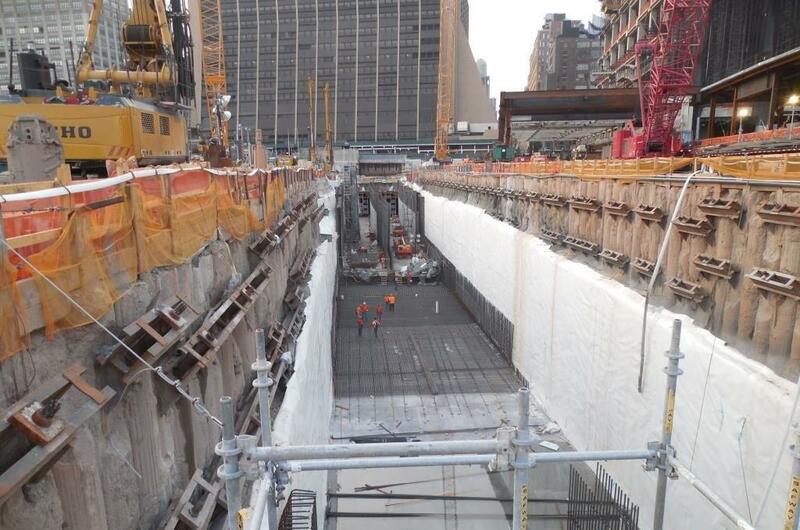 Construction of Hudson Yard rail access tunnels to the west side of Penn Station in Manhattan. The Gateway Program is a collaboration between Amtrak, the states of New York and New Jersey, the Port Authority of New York and New Jersey, and the U.S. Department of Transportation to address the rail bottleneck between New Jersey and New York, the busiest rail passenger corridor in the U.S. At the core of this program is construction of new twin rail tunnels under the Hudson River. These will supplement the 108 year old existing rail tunnels, which were damaged during Hurricane Sandy in 2012, and which have insufficient capacity to meet the growing demand. In this discussion we learn about the Gateway Program and plans for these new rail tunnels from Andrew Galloway, Chief of Corridor Development at Amtrak. Water needs for municipalities and agriculture can intersect and sometimes conflict. In this third interview in the series exploring some of the nation’s water challenges, we talk with Bill Stowe, General Manager of the Des Moines, Iowa, Water Works, who describes the problems that drainage of chemicals, principally nitrates, from nearby farms affects the quality of input waters and the treatment technologies and costs of potable water. Driven in part by substantial advances in agricultural productivity, solutions may lie in adjustments in farming technologies and regulatory actions that address the externalities of large-scale agriculture. Water infrastructure issues are much in the news in the U.S. — not only in the West, where drought continues to take a high toll, but also in other parts of the country, where the water needs for municipalities, energy production, commercial interests, and agriculture intersect and sometimes conflict. In this interview, one in a series of three exploring some of the nation’s water challenges, we talk with Bob Yamada, Director of Water Resources for the San Diego County Water Authority, about the mix of strategies adopted to meet the growing needs of the authority’s customers, and the new Carlsbad Desalination plant. 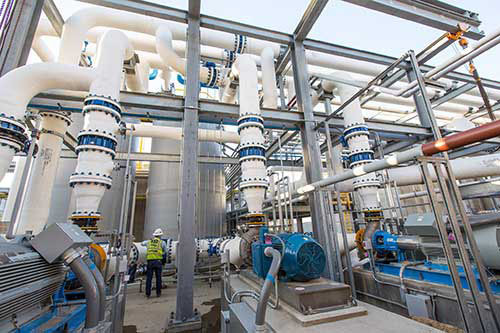 This advanced technology reverse osmosis facility was built, financed, and will be operated through a public-private partnership under a water purchase agreement to serve the region for the next three decades. Water infrastructure issues are much in the news in the U.S. — not only in the West, where drought continues to take a high toll, but also in other parts of the country, where the water needs for municipalities, energy production, commercial interests, and agriculture intersect and sometimes conflict. In this interview, one in a series of three exploring some of the nation’s water challenges, we talk with Robert Glennon, Regents’ Professor and Morris K. Udall Professor of Law & Public Policy at the University of Arizona, author of Unquenchable: America’s Water Crisis and What to Do About It. Prof. Glennon discusses the trade-offs between competing demands for water, the conflicts in allocation, and strategies for both conserving and sharing scarce water more effectively. New and stronger concretes have become the standard material for very tall buildings, particularly residential buildings, where structural stiffness is important for the comfort of occupants. 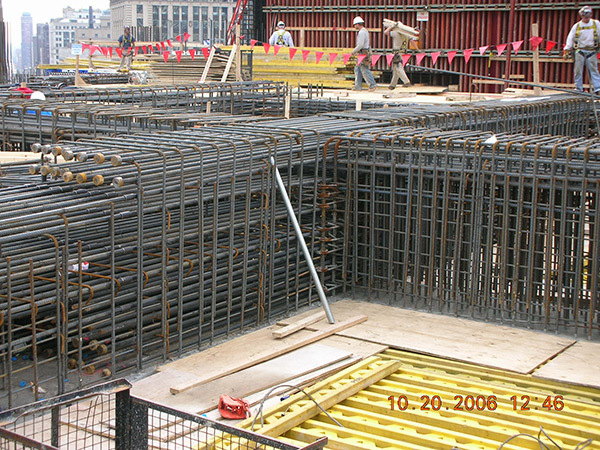 In this interview, Paul James, Senior Vice President with Lendlease U.S. Construction in Chicago, talks about the tradeoffs in design and materials selection as a function of use of the structure, the rate limiting factors in the construction of tall concrete and steel buildings, the effects of weather on construction speed, and the role of the construction engineer in material specification. New and stronger concretes have become the standard material for very tall buildings, displacing steel in structural design. 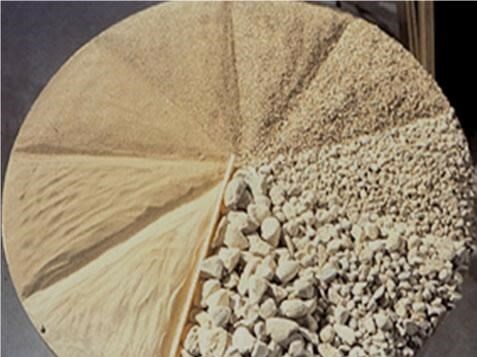 These concretes bring higher, selectable strengths and workability properties that make them particularly efficient and effective for architectural megastructures. In this interview we learn about designing tall concrete buildings in a conversation with architect and structural Joseph G. Burns, who is Managing Principal with the design firm Thornton Tomasetti in Chicago. Concrete is among the oldest of building materials; for example, it was the principal material in the dome of the Pantheon in Rome, completed in 128 AD. Research and innovation have led to radical changes in concrete and its applications, particularly over the past 30 years. These changes have made it possible to use concrete for the tallest buildings in the world, buildings that, only a few decades ago, would have been built of steel. In this first in a series of three podcasts we examine the science of concrete to understand the material itself, and how research has changed its properties to facilitate important new uses for concrete, particularly for megastructures. We learn about new concretes from Emeritus Professor Surendra P. Shah of Northwestern University in Evanston, Illinois. 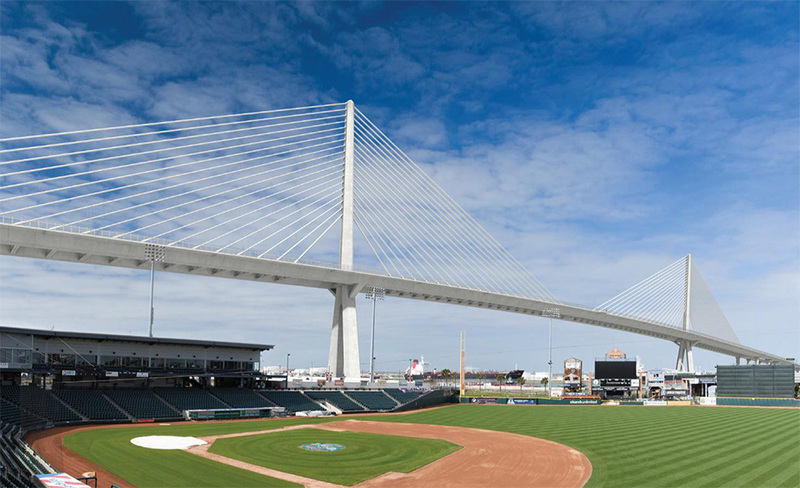 Credit: Artist’s rendering of the new Harbor Bridge in Corpus Christi, courtesy of the Texas Department of Transportation. The effectiveness and efficiency of a marine port is closely tied to the performance and capacity of the landside transportation network that moves goods to and from ships. The expanded Panama Canal, designed to handle significantly larger ships, will challenge U.S. Atlantic and Gulf ports with those larger ships and the resulting higher rate of flow of products in and out of ports. Assuring sufficient landside capacity is a task shared by the private sector (both railroad companies and intermodal terminal operators) and governments responsible for the highway network. The Texas Department of Transportation (TxDOT) has formed a stakeholder group to identify and address the needs of shippers, carriers, and ports along the Texas Gulf Coast. TxDOT has been investing in expanded roadway infrastructure to ease key bottlenecks, particularly those affecting the major port of Houston. In this discussion, Professor Schofer explores some key activities of TxDOT with Caroline Mays, Freight Systems Branch Manager for TxDOT. 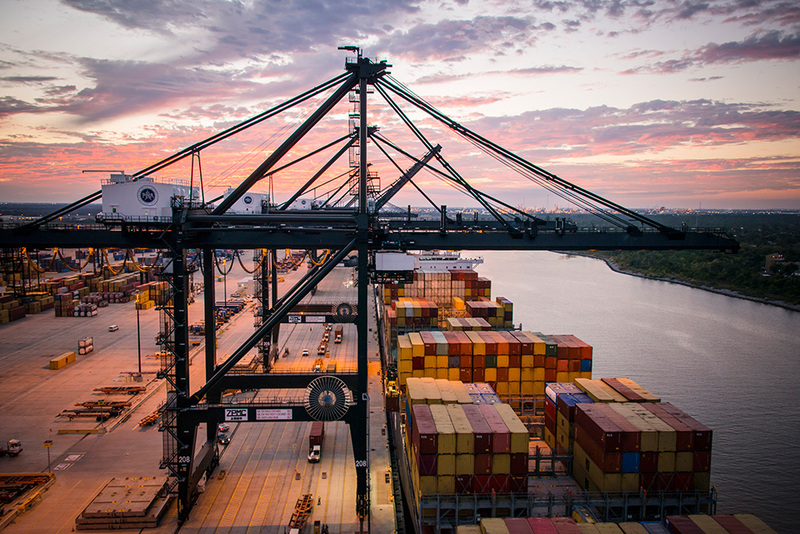 The Port of Houston is the principal U.S. port on the Gulf of Mexico, handling petrochemical, coal, and grain exports, and inbound consumer products. 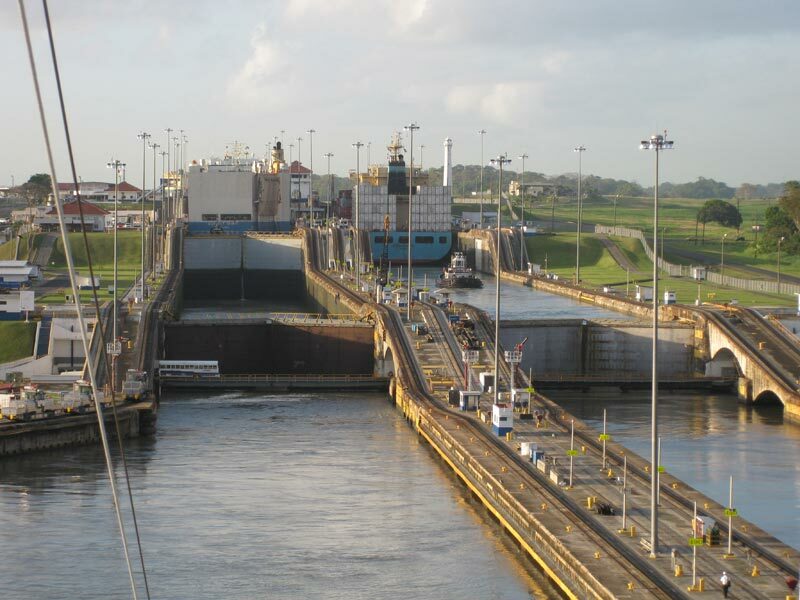 Many of the 4,000 or so ships that traverse the Houston ship channel annually transit the Panama Canal on their journeys. The expanded Canal, set to open in the winter of 2016, will support Neo-Panamax ships with as much as three times the capacity of current Panamax ships, as well as very large LNG carriers. Is the Port of Houston ready for these new ships? What public and private investments have been made and are planned to assure that Houston, and the U.S., are competitive in international trade? Roger Guenther, Executive Director of the Port of Houston Authority talks about Houston’s progress and plans with host Joseph Schofer. Nuisance flooding – what it is and why it’s on the increase in the U.S.
“Nuisance flooding” is a term for minor flooding that is not catastrophic or life-threatening, but which causes various problems for cities and towns, including overflowing storm water management systems, roads that must be closed to traffic, and deterioration of infrastructure not designed to be under water and in contact with salt-water. 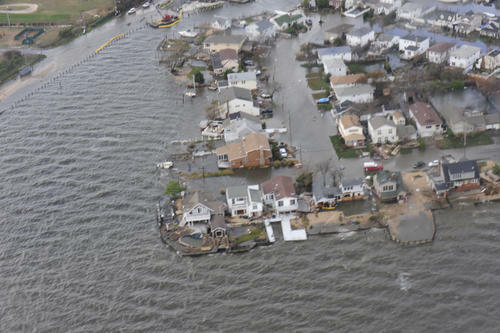 Much has been written in recent years about climate-related sea level rise, but a study released this July by the National Oceanic and Atmospheric Administration, or NOAA, focuses on the impacts of sea level rise as manifested in increasing frequency and magnitude of nuisance tidal flooding – and the findings are dramatic. 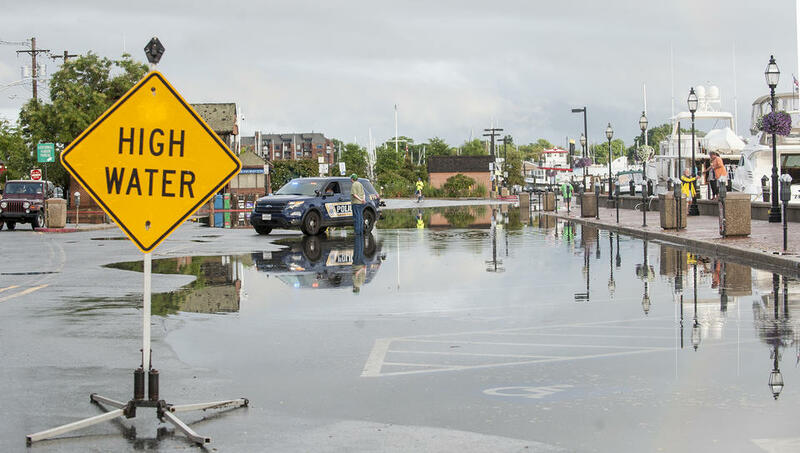 Titled “Sea Level Rise and Nuisance Flood Frequency Changes Around the United States,” the report shows that nuisance flooding occurs much more frequently today than in the 1960s – in fact, 300 to 925 percent more frequently. Professor Schofer discusses this important topic with the lead author of that report, William Sweet, oceanographer at NOAA’s Center for Operational Oceanographic Products and Services. Expo Line at La Cienega Station, photo by Steve Hymon/Metro. 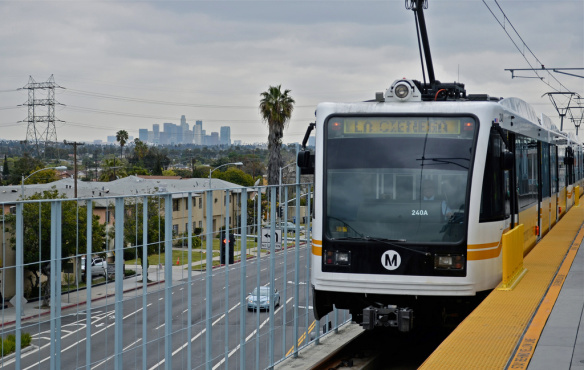 Six years ago, transportation planners across the U.S. watched with great interest the progress of the November 2008 elections in Los Angeles County, California, where a proposed sales tax to fund transportation projects – called Measure R – was on the ballot. Measure R passed in that election, and its proposal was implemented: a half-cent sales tax on each taxable dollar spent in Los Angeles County, used to fund specific transportation projects for the next 30 years. This month, on the 6-year anniversary of Measure R’s passage, Los Angeles County is the scene of five major highway and transit projects under construction at the same time – an unprecedented accomplishment in U.S. metropolitan areas, where “no new taxes” is the popular mantra. 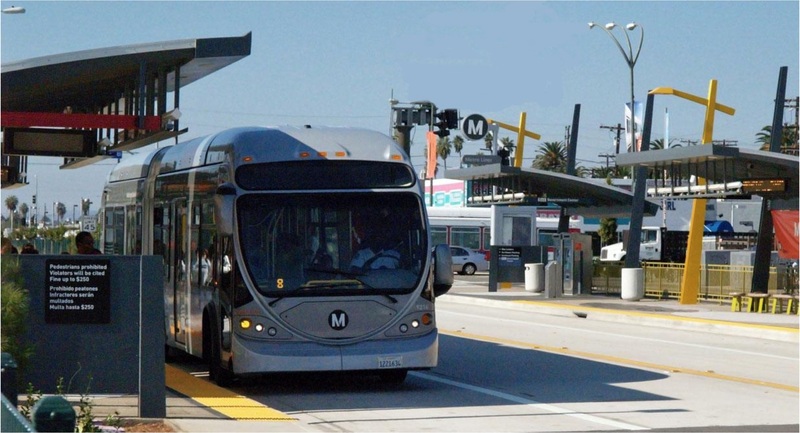 Professor Schofer talks about Measure R, its process and products, with David Yale, Managing Executive Officer, County-Wide Planning and Development, for the Los Angeles Metropolitan Transportation Authority, also known as Metro. In the Midwestern United States, the winter of 2013-2014 was one of the most severe in recorded weather history. In Chicago, every type of transportation was affected by waves of Arctic cold and 80 inches of snowfall. At O’Hare International Airport, in suburban Chicago, the challenge of removing snow and ice from 14 miles of runways, 45 miles of taxiways, and 20 million square feet of gate areas during this period of extreme weather was immense – this for the second busiest airport in the U.S., handling more than 194,000 flight operations for the first 3 months of 2014. Yet O’Hare did such a good job that it won a top aviation industry award for excellence in snow and ice control – the coveted Balchen/Post Award issued annually by the Northeast Chapter of the American Association of Airport Executives – O’Hare was this year’s winner in the large commercial airports category. Professor Schofer discusses the snow removal challenges at O’Hare Airport and how they are met with George Lyman, Managing Deputy Commissioner, Chicago Department of Aviation, Airport Airfield Operations and Vehicle Services Sections. Few people who travel on U.S. highways are aware that great thought went into the design and construction of the roadways, from the layout of the access ramps, to the type of pavement, to the lighting. Even fewer stop to think about the research that informs the highway planning profession. 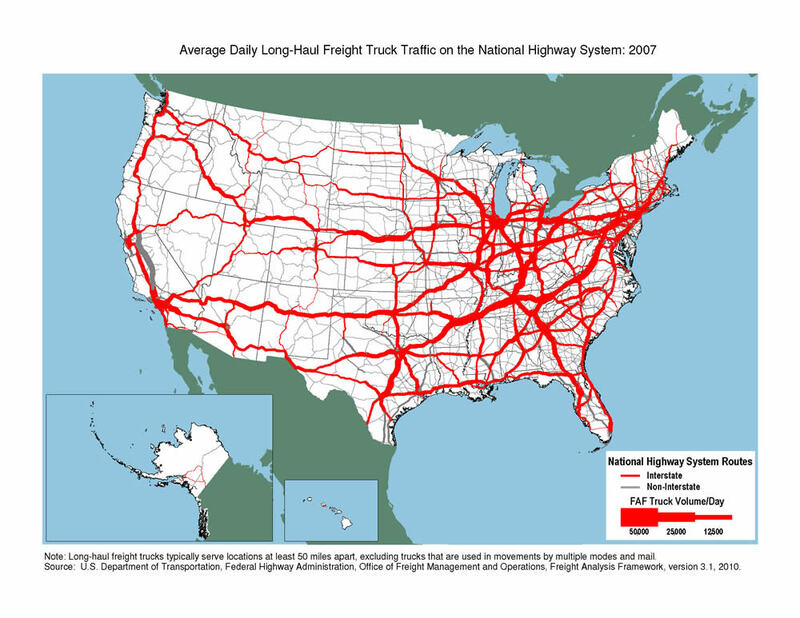 In fact, highway planning relies on its own research facilities, and they can be elaborate. But few are more elaborate than the Virginia Smart Road – a unique 2.2-mile, two-lane research highway built to Interstate Highway Standards, which is managed by the Virginia Tech Transportation Institute and maintained by the Virginia Department of Transportation. It is not open to the public, but rather serves as a laboratory for highway researchers to experiment and to learn. Professor Schofer talks about this research highway with Dr. Tom Dingus, Director of the Virginia Tech Transportation Institute. 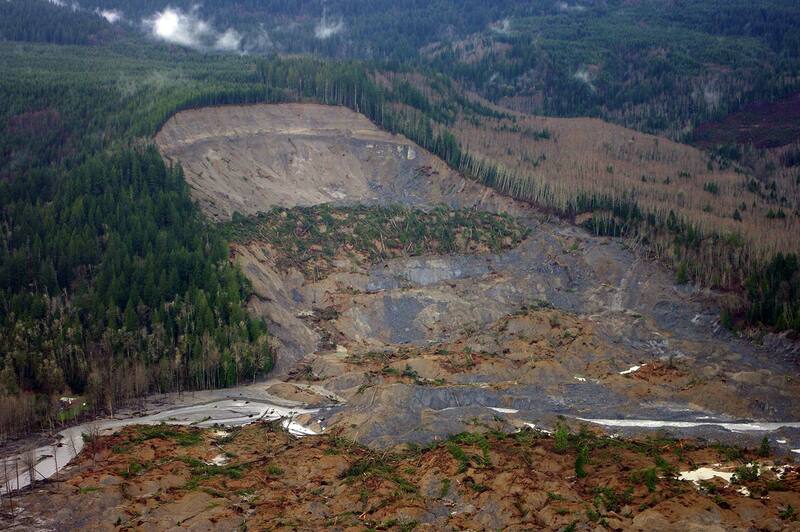 On March 22, 2014, during a month of heavy rains, a significant landslide occurred near the rural town of Oso, WA, about 50 miles north of Seattle, on the steep slope above a river – a slope with a history of landslide occurrences. The slide destroyed about 50 homes and killed 43 people. The event has raised questions about landslide causes and about the feasibility of landslide warning systems. Professor Schofer discusses the Oso landslide, and the topic of landslides in general, with Jeff Keaton, principal geologist for AMEC Americas in Los Angeles. He is a member of the Geotechnical Extreme Events Reconnaissance Association team, also known as GEER, which is supported by the National Science Foundation. GEER teams survey extreme event locations immediately following the occurrences, and did so at Oso. Building enclosure mock-up being tested for water penetration. Building enclosures – also known as building envelopes – provide buildings’ line of defense against the elements. Today, many building owners and developers are looking at the current focus on Building Enclosure Commissioning as a means not only to deliver more energy-efficient, higher-performing buildings, but also as an impetus for changes in how we educate the next generation of architects and other design and construction professionals. 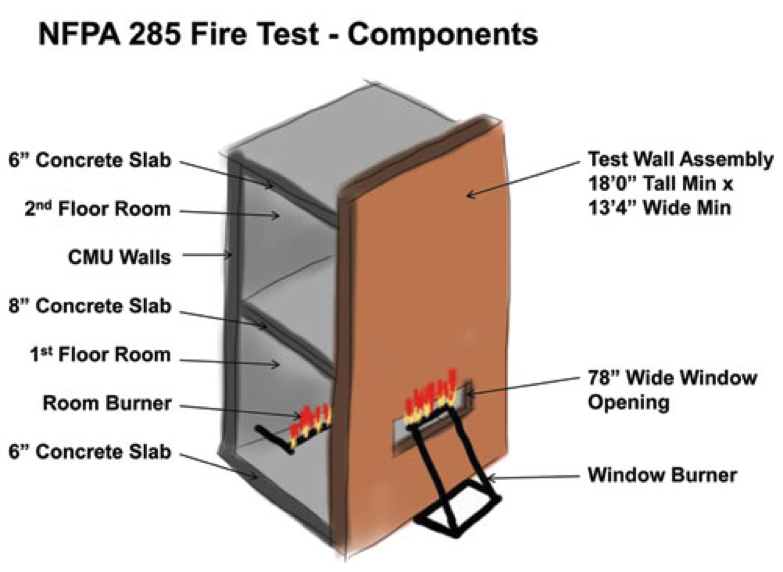 Professor Schofer talks about this important topic with Dan Lemieux, Principal of Wiss, Janney, Elstner Associates, the firm of engineers, architects and material scientists, who also is Chairman of the ASTM Subcommittee on the Performance of Building Enclosures. Photo courtesy of the Boulder City Review. When the Federal Bureau of Reclamation finished construction of the giant Hoover Dam near Boulder City, NV in 1936, the country anticipated that this project, which had finally tamed the Colorado River, would ensure a reliable, long-term water supply for the river basin states of Arizona, California, Colorado, Nevada, New Mexico, Utah and Wyoming. And for many decades it did so. 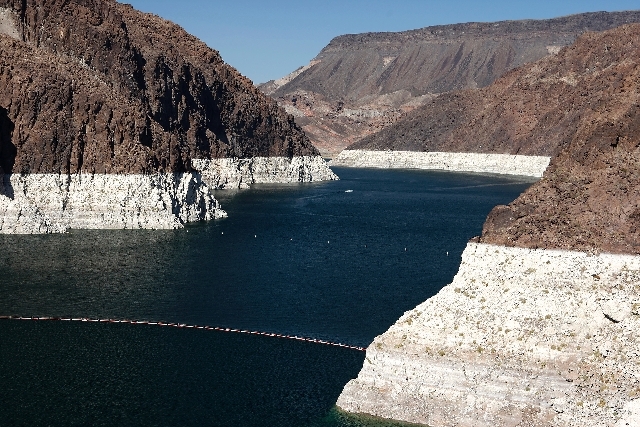 But the Western states’ drought that has lasted the past 14 years is resulting in a near emergency situation because the water level has been falling in Lake Mead, the reservoir behind the Hoover Dam. The hosts talk with Dave Johnson, Deputy General Manager of Engineering and Operations for the Southern Nevada Water Authority about the situation and about the intake tunnel being drilled under Lake Mead to ensure Nevada continues to have access to its water source. 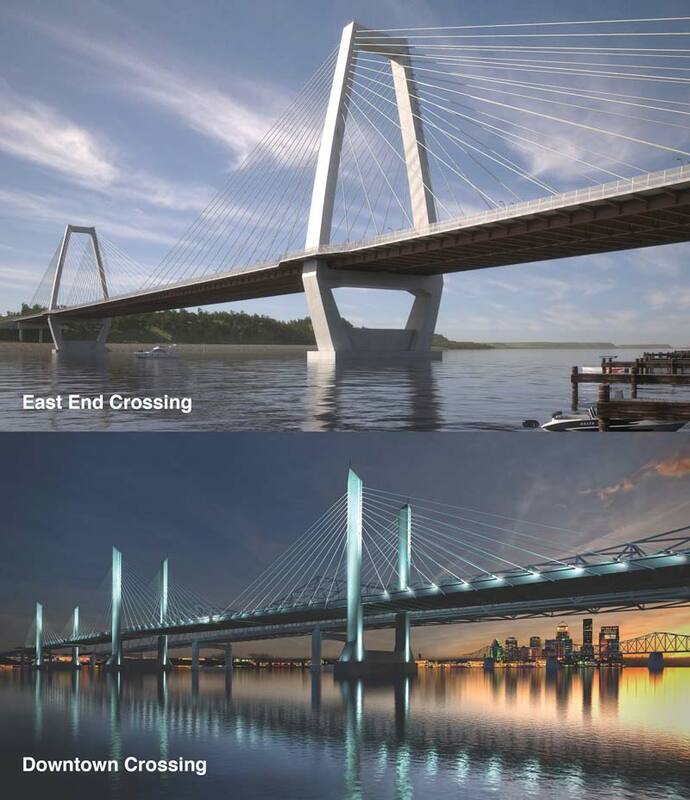 The Ohio River Bridges Project is a $2.6 billion undertaking involving the construction of two bridges in the Louisville Metropolitan Area, a metro area that includes Kentucky and Indiana, with about 1.4 million people. 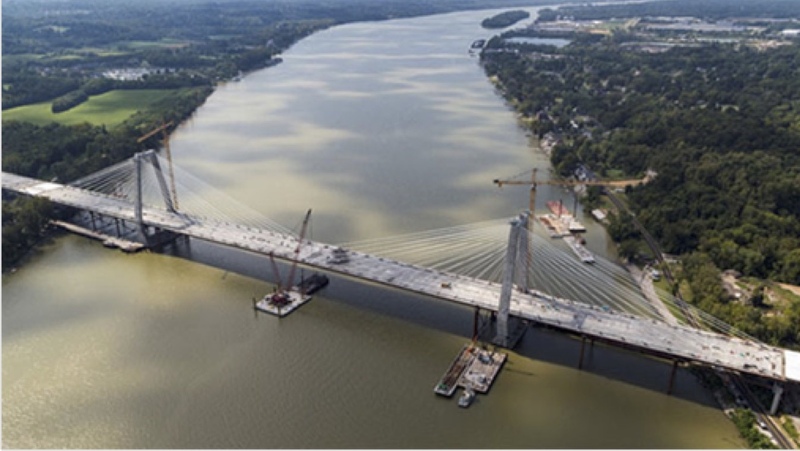 One of the largest transportation projects in the country, the Ohio River Bridges Project demonstrates impressive cooperation between the two states involved. The hosts talk about the Project with Ron Heustis, Project Manager, Indiana Department of Transportation. Photo courtesy of the Knoxville News Sentinel. 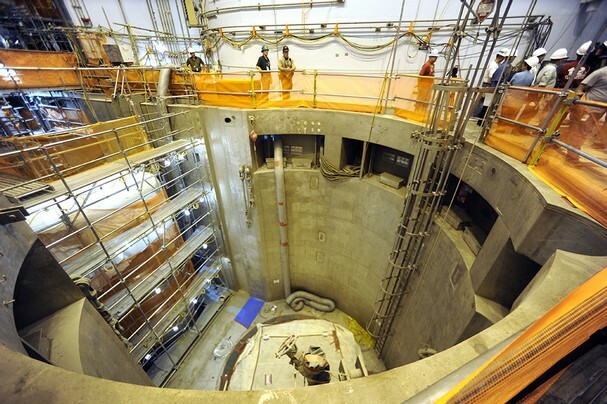 Unlike Germany, which is closing down all its nuclear facilities in response to the disaster in Fukushima, Japan, the U.S. will see completion of a new nuclear power plant in 2015 – the Tennessee Valley Authority’s Watts Bar 2 nuclear plant, located in east Tennessee. 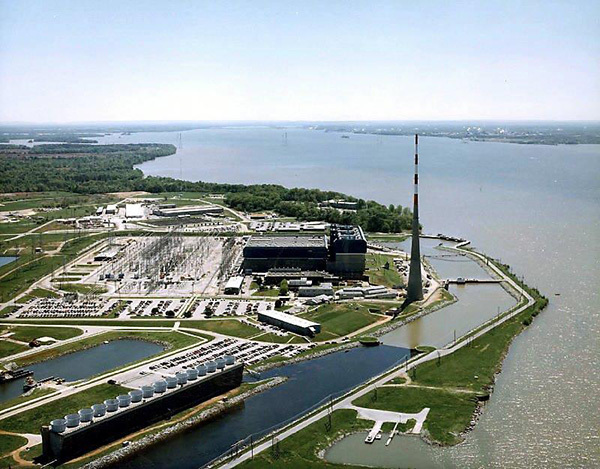 The hosts talk about the details of this plant, and about the outlook for nuclear power in general, with Gary Mauldin, General Manager of Project Assurance and Support Services for Watts Bar at the TVA. The State of California has been a world leader in earthquake safety building codes, starting with the California Seismic Code, passed in 1933 after the Long Beach earthquake. In spite of code changes and advances in design standards, retrofitting buildings to meet new codes continues to be a challenge. For example, following the 1971 San Fernando Earthquake, 1,777 California public school buildings still did not conform to the school seismic safety standards passed by the state legislature 38 years before. The main obstacle was the cost of the retrofits. 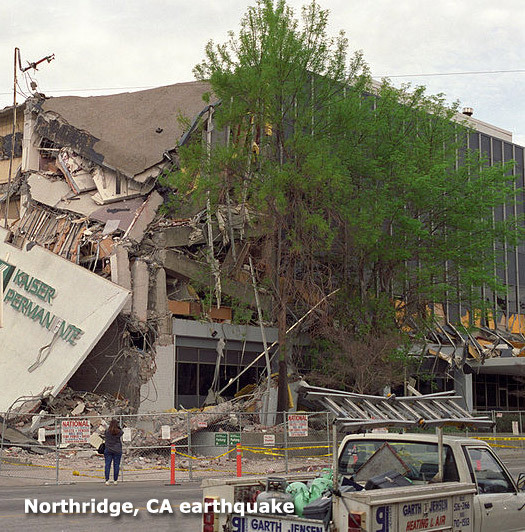 Although the San Fernando Earthquake led to still more advanced design codes, The Los Angeles Times has reported that many concrete buildings in the city do not meet current seismic safety standards, putting their occupants at risk in the event of a major earthquake. Once again, the cost of retrofits was cited as the major problem. To explore the topic of seismic retrofits of concrete buildings, the hosts talk with Dr. Gregg Brandow, Professor of Engineering Practice at the University of Southern California, who is a leading expert on the seismic evaluation and retrofit of buildings. 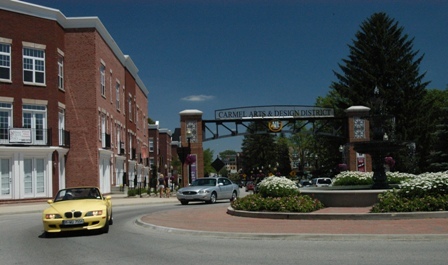 Carmel, Indiana, a city of about 83,000 people located directly to the north of Indianapolis, has become informally known as “The Roundabout Capital of the U.S.” because of its embrace of the roundabout, a traffic concept more commonly found in Britain. Carmel has become a city nearly free of conventional four-way intersections, which means it is also nearly free of stop signs and traffic lights. At these roundabouts, traffic flows continuously, in one direction, around circular islands. The hosts discuss why the city has adopted this design – and what characteristics of the city have made the changes possible –with Carmel Mayor Jim Brainard, the man who made the roundabouts happen. On July 6, 2013, a freight train carrying crude oil derailed and exploded in the downtown area of Lac-Mégantic, Quebec, killing at least 42 residents. Subsequently, a special emergency meeting was held in Washington, D.C. by the Federal Railroad Administration’s Railroad Safety Advisory Committee, to discuss additional rail safety measures for hazardous materials transport. The agenda of the emergency meeting included a Safety Advisory issued jointly by the FRA and the Pipeline and Hazardous Materials Safety Administration, also known as PHMSA. Directed to railroads and shippers of hazardous materials, this Advisory included a number of recommended actions to help reduce transport risks. The hosts discuss this topic of safe transport of hazardous materials with PHMSA Administrator Cynthia Quarterman. The U.S. General Services Administration’s Public Service Division, in its role as a landlord for the government, has in recent years been on the leading edge of green building design, new and retrofit construction, operations and maintenance. Among GSA’s initiatives is to “act as a green proving ground,” and many of the facilities it manages have become showcases for energy efficiency and new technology. The hosts discuss the impressive green building achievements of GSA with Dr. Dorothy Robyn, Commissioner of the Public Buildings Service. 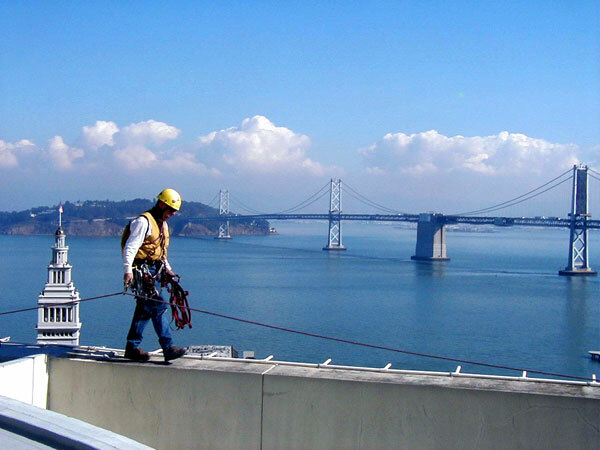 The San Francisco-Oakland Bay Bridge consists of two separate spans, each of about 10,000 feet. The west span connects San Francisco to Yerba Buena Island in the middle of the bay, and the east span connects the island to Oakland. Daily traffic is about 280,000 vehicles. Completed in 1936, the west span is a suspension bridge, and the original east span was a cantilever design. In 1989, during the Loma Prieta earthquake, a portion of the east span collapsed, with one fatality. 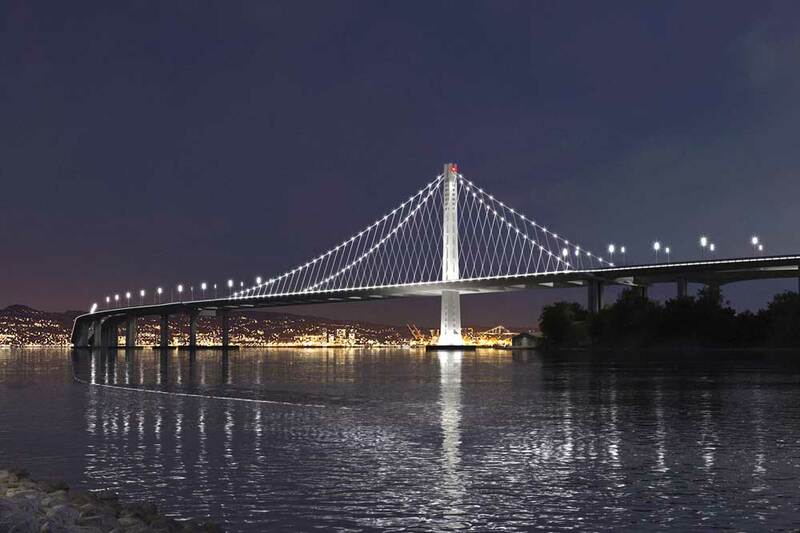 While the damage was repaired quickly, the decision was made to construct an earthquake-resistant new east span, of suspension design. Construction of this new span began in 2002, parallel to the original cantilever span that remained in operation during the 11 years of construction. 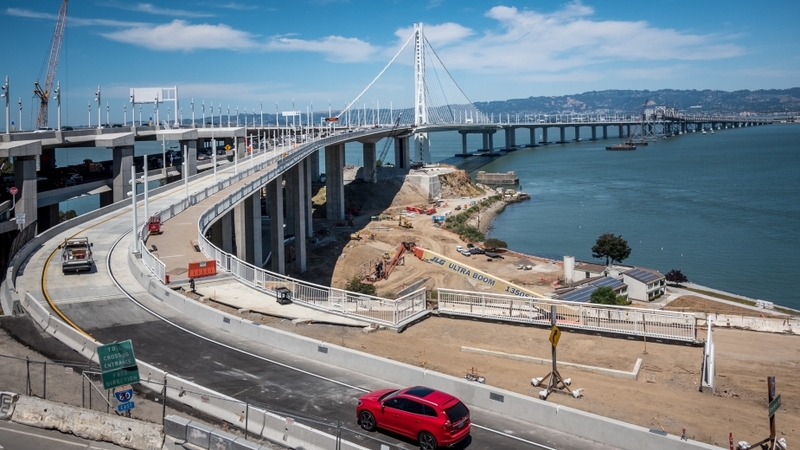 Finally, on September 3rd, 2013, the new east span was opened for traffic. The hosts discuss the many challenges of completing this strikingly designed new Bay Bridge east span with Tony Anziano, Toll Bridge Program Manager for the California Department of Transportation, commonly called Caltrans, the department that has managed this project, in conjunction with the Bay Area Toll Authority and the California Transportation Commission. In Europe and other developed countries of the world, infrastructure spending generally is regarded as an investment for the common good of the citizens. In the United States, on the other hand, infrastructure spending is treated in budgeting as an expense rather than an investment. Thus, in recent years Congress has tended to ignore the value of our built assets and to focus on the country’s budget deficit. How can the U.S. make infrastructure improvements given the funding obstacles that exist today? Focusing in particular on transportation infrastructure, the hosts talk with Mort Downey, a Senior Advisor for Parsons Brinckerhoff, who was Deputy Secretary of the U.S. Department of Transportation from 1993 to 2001. During his years with the DOT, he helped to double infrastructure funding. Transit service in low-density suburbs is usually provided with buses operating on local streets – rail transit on separate rights of way is too costly given modest ridership levels. But providing bus service in contemporary U.S. suburbs can be a challenge both to the bus operator and the travelers themselves. Secure paths for getting to and from bus stops may not exist, and protected bus stops may be rare. 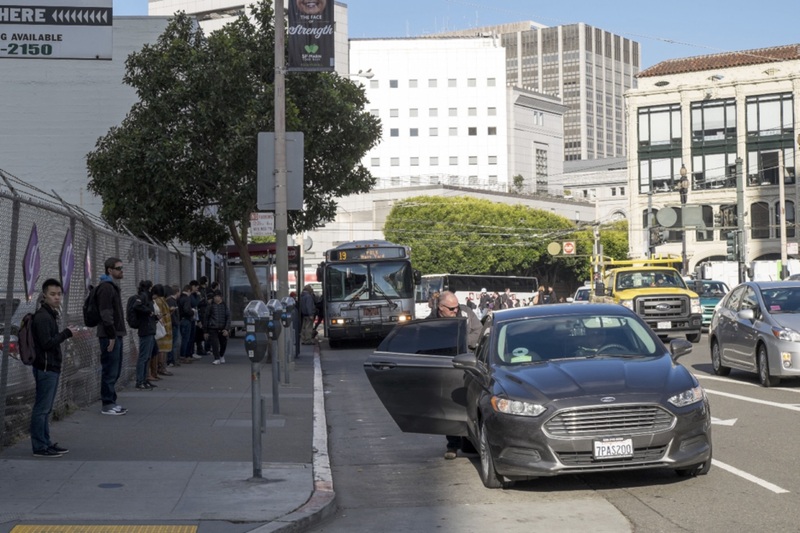 To encourage transit ridership, it is important to offer seamless transportation – safe, efficient, and fast connections between origin and destination, including getting to and from the bus stops. The hosts talk about the challenges of providing seamless bus infrastructure in suburban communities with Michael Bolton, Deputy Executive Director, of Pace, the Chicago metropolitan area’s suburban bus system. This year marks the 60th anniversary of the catastrophic North Sea Flood of 1953, which occurred on January 31 and Feb. 1 of that year due to a combination of very high tides and a storm with gale-force winds. The storm surge overwhelmed many of the sea defenses in the countries bordering the North Sea. The worst flooding was in the Netherlands, where 1,836 deaths were recorded. 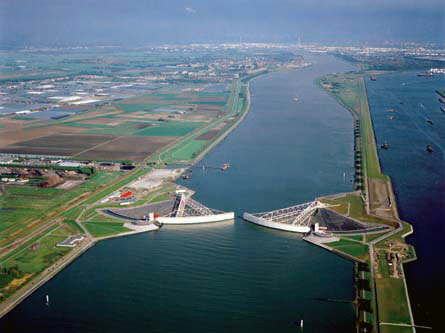 The response to the tragedy was the creation of the Delta Works Commission, which in the following decades transformed the Netherlands flood protection system into the outstanding infrastructure it is today. The hosts talk about the Delta Works with Henk Ovink, who is currently senior advisor to Housing and Urban Development Secretary Shaun Donovan in his role of Chair of the Hurricane Sandy Rebuilding Task Force. Before joining the Task Force last April, Mr. Ovink was Director General for Spatial Planning and Water Affairs and Director of National Spatial Planning for the Ministry of Infrastructure and the Environment in the Netherlands. 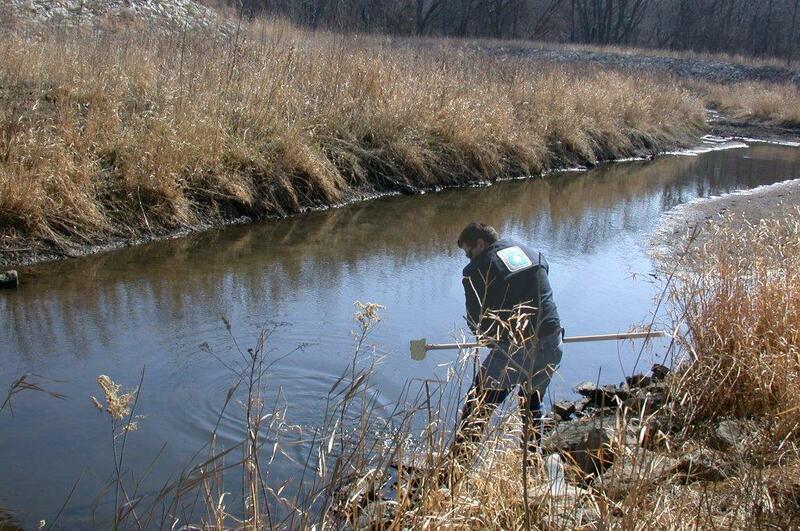 Photo courtesy of the Ohio EPA. Solid waste management – an overview of improvements in the U.S. 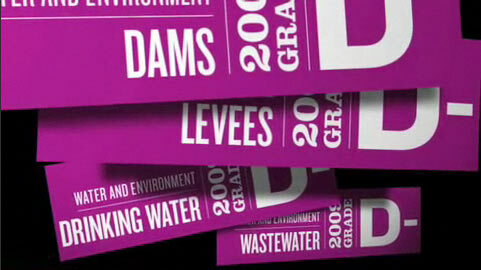 The 2013 Edition of the American Society of Civil Engineers’ Infrastructure Report Card gave its highest grade – a B minus – to the category of solid waste management, up from a C plus in the 2009 report card. 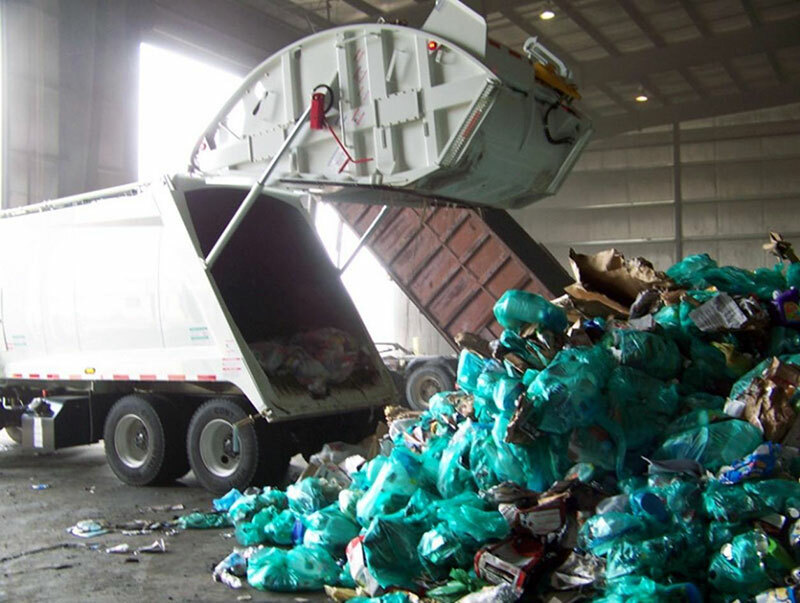 According to the ASCE, while recent figures show that Americans generate about 250 million tons of solid waste annually, about 85 million tons of that – or 34% – is recycled. As well, the generation of waste per person today is less than it was 20 years ago. The hosts discuss what the U.S. is doing right in regard to solid waste – and how we still might improve – with Debra Reinhart, a Professor in the Civil, Environmental and Construction Engineering Department at the University of Central Florida, who was in charge of the solid waste evaluations for the 2013 ASCE Infrastructure Report Card. The electrical grid of the United States is an enormously impressive feat of engineering that is critical to the economic and social functioning of the nation. But the fact is, it is basically a century-old power grid, not simply inefficient but vulnerable to cascading breakdowns due to both natural and manmade events. 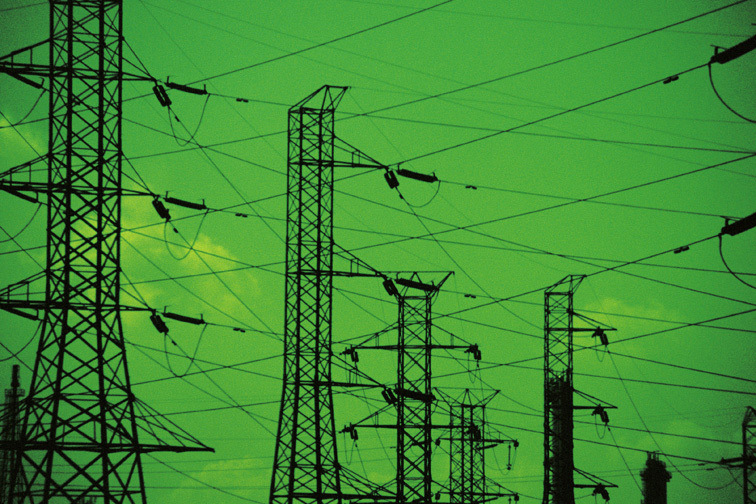 The Smart Grid is a strategy for modernizing the electrical grid. It is an automated network that directs the movement of electric power using information and communications technology to collect data on electricity supply and demand to improve efficiency, reliability, and sustainability of electric power. The hosts discuss this important topic with one of the country’s leading experts on the smart electric power grid, Massoud Amin, Professor of Electrical and Computer Engineering at the University of Minnesota. Those who work in maintenance frequently find their departments are regarded by top management as a cost, rather than a contributor to the profitability of the enterprise. One reason is that the value of equipment and systems maintenance is hard to quantify. As a result, many enterprises do not budget sufficient monies for maintenance. 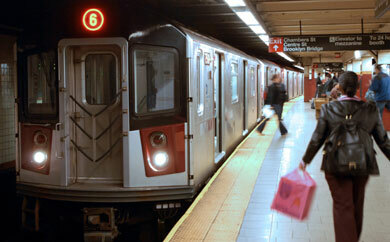 Public transit is similar to other enterprises in this regard. However, one transit maintenance department in California has begun using an innovative budgeting process that has had impressive results. The hosts talk with Michael Hursh, Chief Operating Officer for the Santa Clara Valley Transportation Authority in San Jose about what his maintenance department has accomplished, by using asset-inventory-based state of good repair analysis, which assigns values to maintenance that are easily comprehended by management and the public. In February of 2003, the City of London, led by then-mayor Ken Livingstone, implemented a long-discussed plan for charging motor vehicles entering Central London during weekdays, with the goal of reducing traffic congestion and pollution levels. It was the largest implementation of a congestion pricing scheme anywhere it the world. 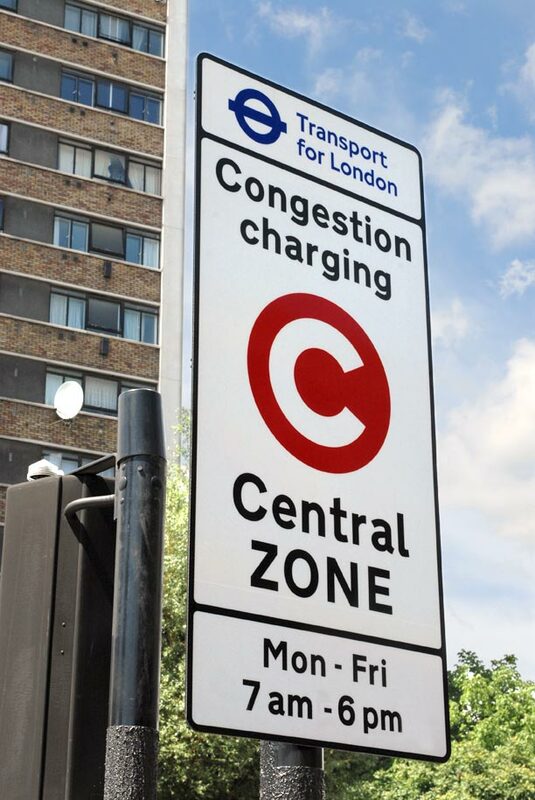 While initially many residents and businesses feared that the congestion charging system would impede access, damage central area businesses, and create inequities, today, 10 years on, it is generally regarded as an effective and efficient model of urban congestion management, and cities around the world are using the London experience as a guide for their own policies. The hosts talk about lessons learned with Paul Cowperthwaite, Head of Contracted Services for Transport for London, the governmental agency responsible for transportation in the London area. Hurricane Irene originated in the Caribbean in late August 2011, and travelled up the East Coast of the U.S., causing widespread damage to infrastructure and a number of deaths. Vermont was one of the hardest hit states. Flooding from heavy rains as the storm passed on August 29 damaged roads, bridges, and several municipal wastewater treatment plants. However, the staff members did an impressive job in restoring the facilities and the water treatment quickly, for which they received an EPA excellence award. The hosts talk with Jeff Fehrs, Environmental Engineer for the Vermont Department of Environmental Conservation, about the challenges faced by the operators of Vermont’s wastewater treatment plants because of Hurricane Irene, and more generally, about the critical role that small town wastewater treatment plants play in the health and safety of their communities and the environment. The Port of Savannah, GA is located on the Savannah River, about 18 miles from the Atlantic Ocean, and is operated by the Georgia Ports Authority. 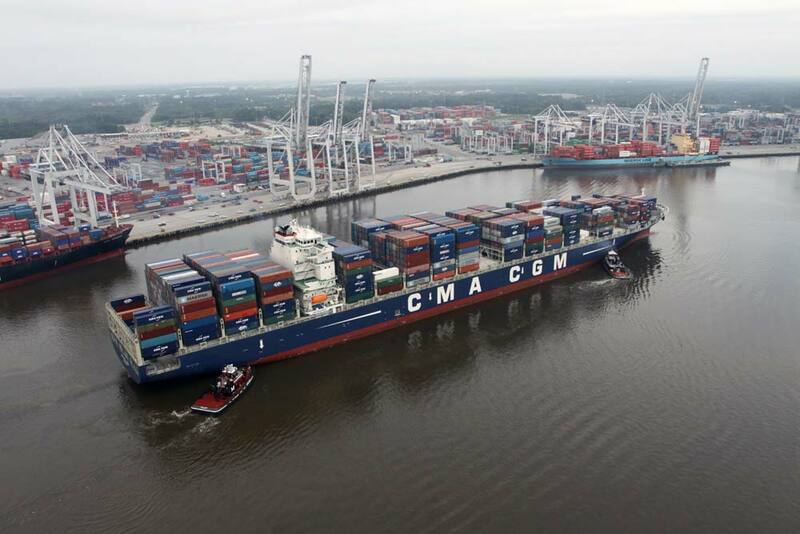 While the Port is the nation’s fourth busiest container port, the Savannah River shipping channel is not deep enough to accommodate the supersized cargo ships developed for the enlarged Panama Canal. The Savannah Harbor Expansion Project, or SHEP, based on 12 years of planning and research by the U.S. Army Corps of Engineers, will deepen the channel, so that it can accommodate the larger ships, and thus significantly benefit Georgia and the region. The hosts discuss this important project with Curtis Foltz, Executive Director of the Georgia Ports Authority. The St. Croix River, a tributary of the Mississippi River located in the states of Minnesota and Wisconsin, is crossed by the 80-year-old Stillwater Lift Bridge at Stillwater, MN, about 20 miles northeast of St. Paul. Over the years, as sprawl from the Twin Cities has increased the demand for suburban development and Stillwater has grown, the two lane lift-bridge crossing over the St. Croix has become highly congested. 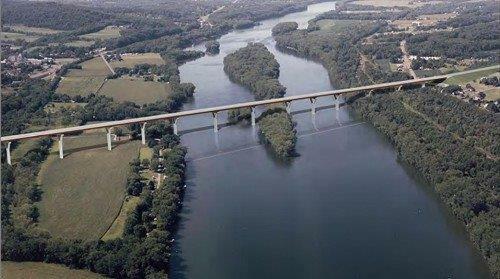 The decision was made to build a new bridge across the river between the two states, at a site south of Stillwater, to be called the St. Croix Bridge, beginning in 2013. 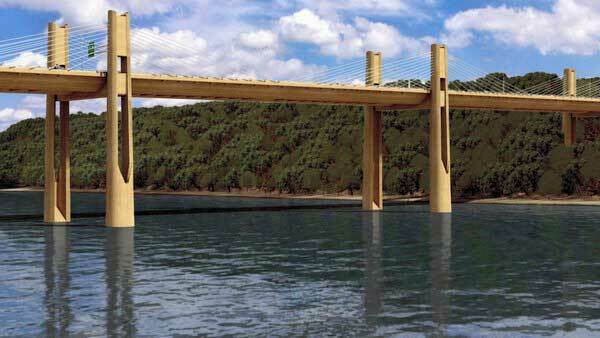 It will feature a bridge design called extradosed – and will be only the second such bridge in the U.S. When the extradosed bridge is completed, the lift bridge, a historic structure, will not be torn down, but rather will be turned into a pedestrian-and-bicycle-only bridge. The hosts talk about this innovative project with Kevin Western of the Minnesota Department of Transportation, who is design engineer for the project. On the afternoon of May 22, 2011, an EF-5 tornado struck Joplin, MO, killing 161 people and injuring about 1,000. 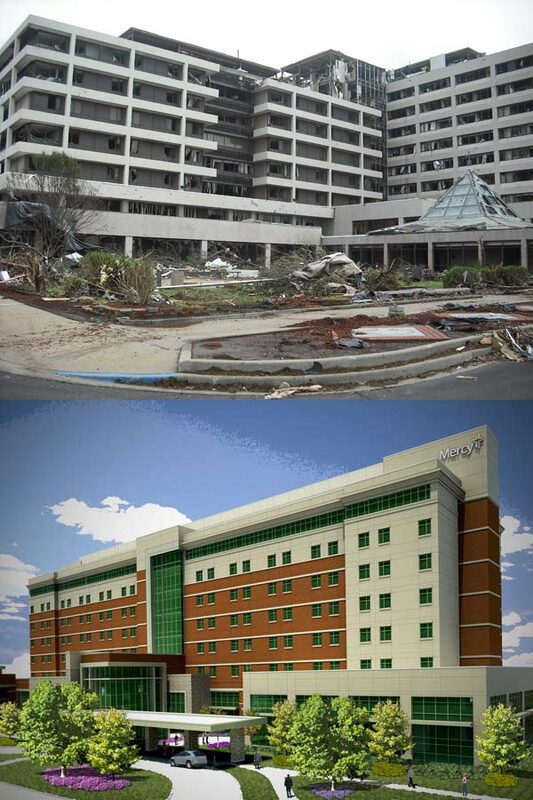 St. John’s Regional Medical Center in Joplin suffered substantial structural damage. Five patients and one visitor died that day. The damage to the hospital was so extensive that the facility required replacement. Because such storms are not rare in Joplin – it has been struck by three tornadoes in the past four decades – the goal was to design a new facility that would safely withstand a future tornado by learning from the structural weaknesses of the original building after such conditions. The hosts discuss the innovative storm-resistant design of the 900,000-square-foot new facility under construction, called Mercy Hospital, with John Farnen, Executive Director of Strategic Projects for Mercy. 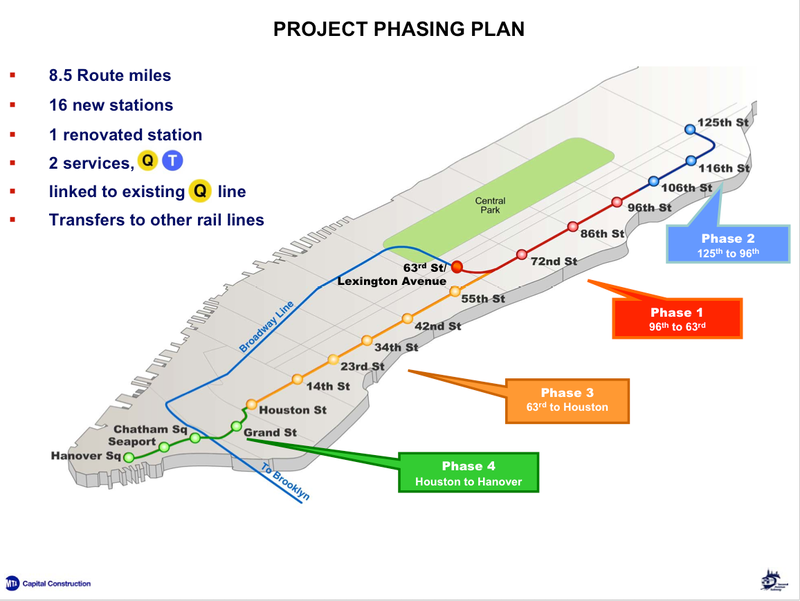 Construction of the Second Avenue Subway on the East Side of New York City – a project that has been discussed for 75 years – began in April of 2007 and is scheduled for completion in December of 2016. This subway will consist of two miles of tunnels under Second Avenue, from 125th Street in the North to the Financial District in Lower Manhattan. The hosts talk about this long-awaited and very important addition to the New York City subway system with Peter Cafiero, Chief of Operations Planning for MTA NYC Transit. The Eagle P3 East Rail Line is a project that will provide train service from downtown Denver’s Union Station to Denver International Airport, 22.8 miles east of the City. 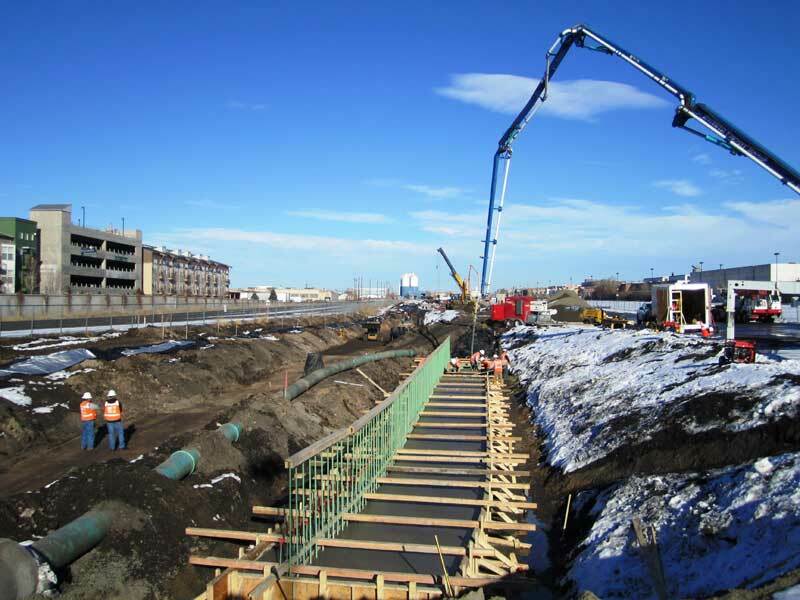 The Eagle project also includes the 11.8 mile Gold Line, northwest of Denver and the segment of Northwest Rail Line to Westminster as well as a rail maintenance facility. It is funded by a public-private partnership between RTD, the Federal Transit Administration and several companies that formed the Denver Transit Partners Consortium. 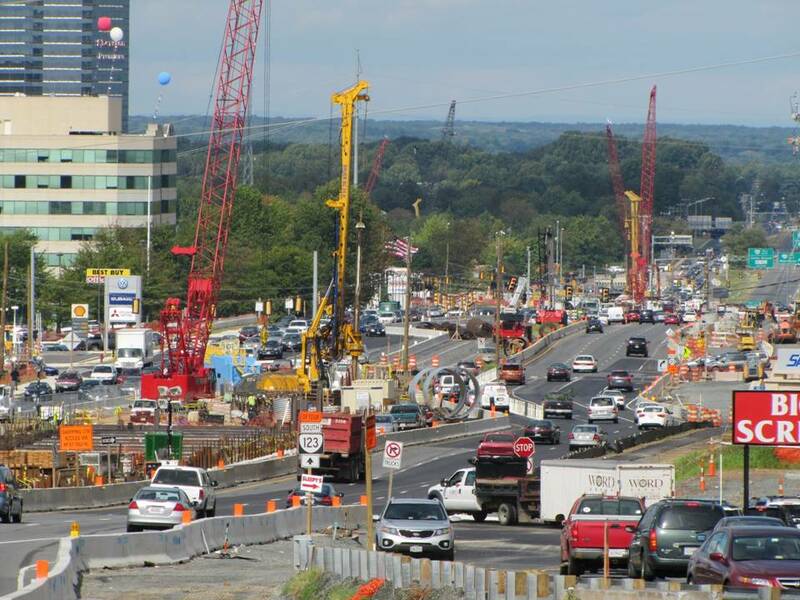 Work began on the project in August of 2010 and is estimated to be finished in early 2016. The hosts discuss this interesting project with Richard Clarke, Assistant General Manager of Capital Programs for the Regional Transportation District. 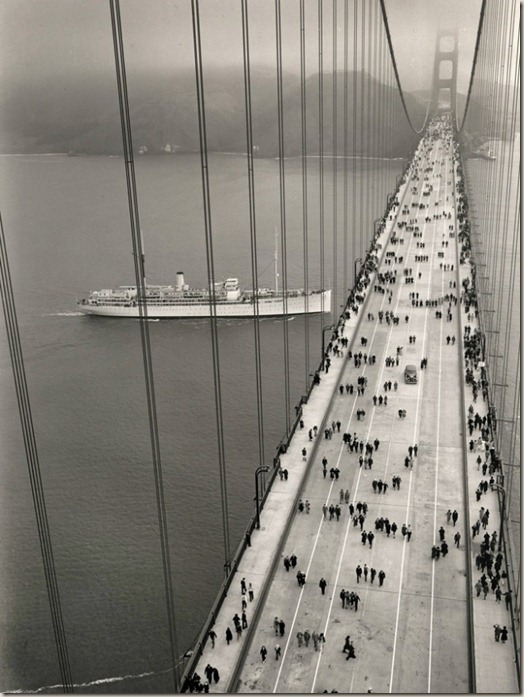 This year is the 75th anniversary of the completion of the Golden Gate Bridge, the iconic suspension bridge that connects the City of San Francisco to Marin County. The 8,981-foot steel bridge – with a 4,200 foot main span – painted a distinctive dark orange, is one of the most photographed bridges in the world. While several engineers worked on the project, the Golden Gate Bridge District has given major credit for the design to Senior Engineer Charles Alton Ellis. While some younger bridges have deteriorated and been replaced, it is interesting to explore what it has taken to sustain and update this important bridge over its 75-year-life. The hosts discuss this topic with Ewa Bauer, Chief Engineer of the Golden Gate Bridge District. Two thirds of the State of California’s fresh water needs are supplied by the Sacramento-San Joaquin River Delta in Northern California. Runoff flows into the delta from the Sierra Nevada Mountains, the Cascade Range, and the Pacific Coast Range. Until the 1800s, the delta flooded each year in the spring, but in the latter part of that century, levee construction was undertaken for flood control and to reclaim land for farming – which created one of the most productive agricultural areas in the nation. Today, there are about 1,100 miles of levees in the delta. Their condition is a major concern to the State of California, because a failure could result in catastrophic flooding of the agricultural area and disruption of water supply to other parts of the state. 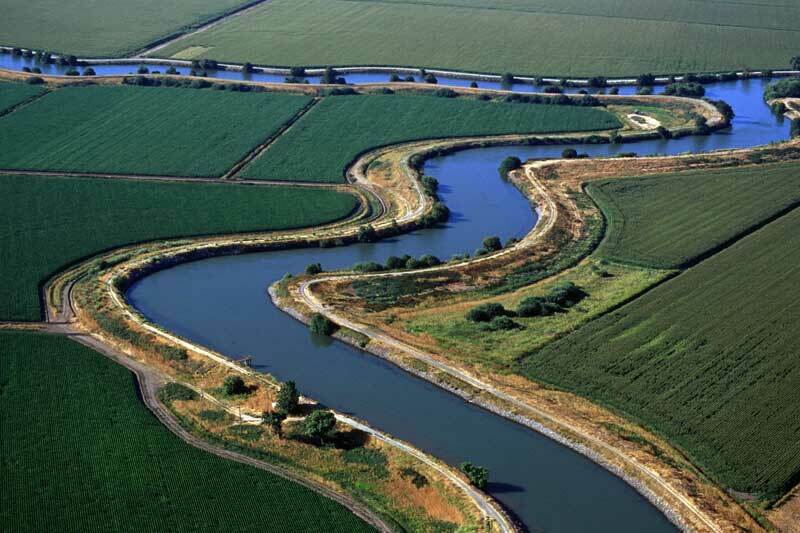 The hosts discuss the dilemma of how to ensure the safety of the Sacramento-San Joaquin River Delta with Jeffrey Mount, Professor of Geology, at the University of California-Davis. According to the U.S. Green Building Council, buildings are responsible for 40% of the country’s energy consumption, and 39% of the CO2 emissions. Therefore, buildings represent an important target for greenhouse gas reduction, and during the last decade the country has seen significant progress in that regard, from the USGBC’s Leadership in Energy and Environmental Design certification system, to the Architecture 2030 Challenge, to CALGreen, the first mandatory statewide green building code in the nation. The ultimate goal is zero energy buildings – structures that make as much energy as they consume. The hosts discuss innovations in energy-efficient buildings and greenhouse gas reduction with Roger Frechette, President of PositivEnergy Practice, whose work focuses on sustainable engineering and building design. An Infrastructure Show podcast in October of 2009 discussed high-speed-rail efforts in the Midwest. High-speed-rail plans are still in the news – with considerable activity and controversy coming from California – and funds for high speed rail in the President’s transportation budget. Plenty of uncertainty remains in the HSR arena, about future ridership, costs, and finance. It’s timely to explore these issues once again. 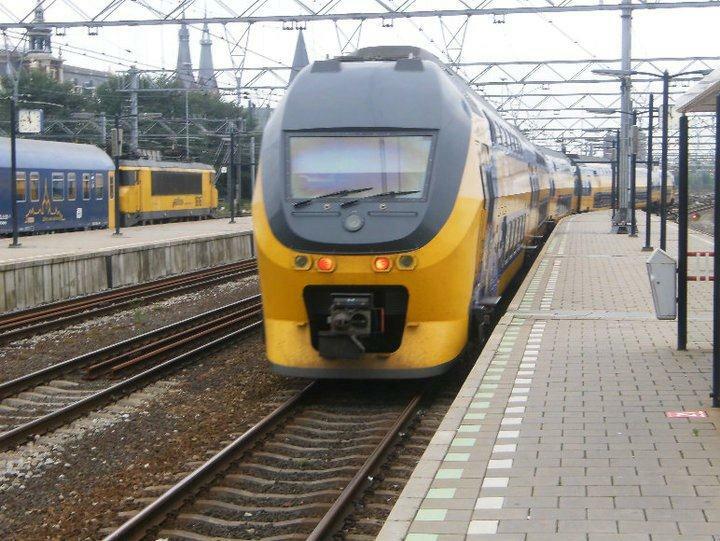 What are the issues and what might the future hold for high speed rail in America? Professor Schofer and Tom talk about these issues as decisions are being made in Washington, California, and other places across the country. The Federal Aviation Administration began conducting research in the 1990s to determine how to ensure maximum safety at airports where the full runway safety area cannot be obtained. Working in concert with the University of Dayton, the Port Authority of New York and New Jersey, and the Engineered Arresting Systems Corporation (ESCO) of Logan Township, NJ, a new technology emerged to safely arrest overrunning aircraft. 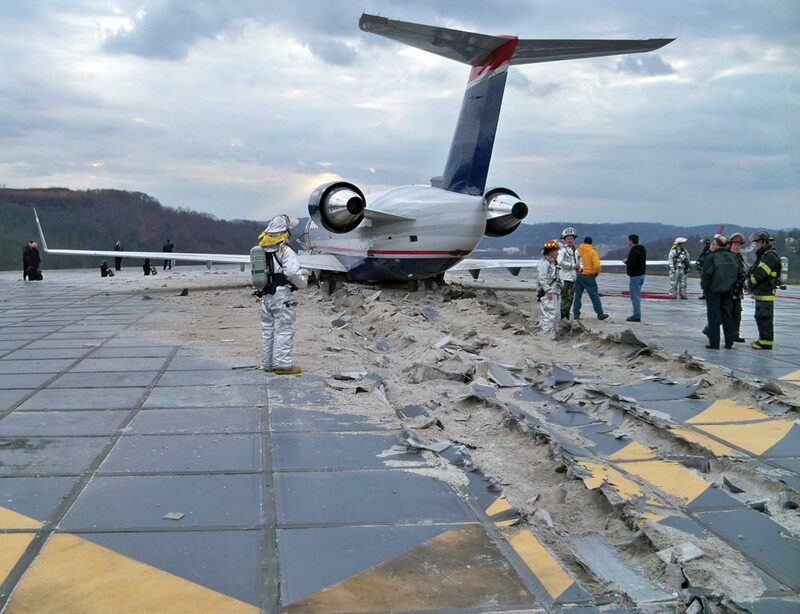 The engineered material arresting system – or EMAS – uses crushable concrete placed at the end of a runway to stop an aircraft that overruns the runway. The tires of the aircraft sink into the lightweight concrete and the aircraft is decelerated as it rolls through the material. Currently, EMAS is installed at 42 U.S. airports. The hosts discuss this EMAS technology with James White, Deputy Director, Airport Safety and Standards at the FAA. Alaskan Way is a street along Seattle’s waterfront, above which is the elevated Alaskan Way Viaduct. This double-deck roadway, completed in 1959, was damaged in the 2001 Nisqually earthquake, as was the nearby Elliott Bay Seawall. Emergency repairs were undertaken by the State of Washington, but for the long-term, the State, King County and the City of Seattle agreed that the viaduct had reached the end of its useful life and needed to be replaced. 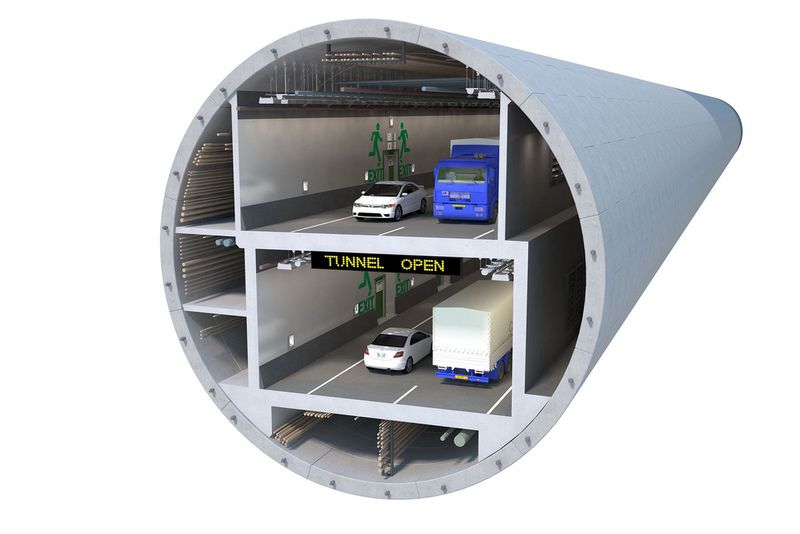 Instead of building a new viaduct, it is being replaced with a bored tunnel beneath downtown, in a massive public infrastructure project. 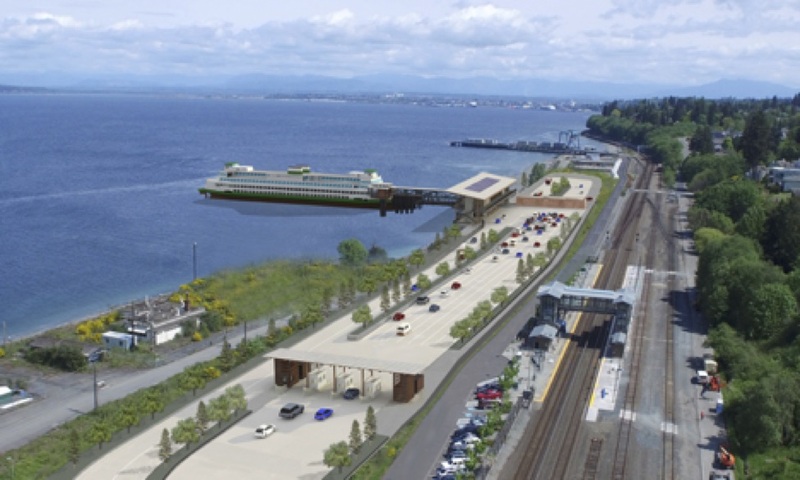 The hosts discuss this project with Linea Laird of the Washington State Department of Transportation, who is Administrator of the Alaskan Way Viaduct Replacement Program. According to the U.S. Department of Energy, transportation accounts for about two thirds of the United State’s oil consumption, and one third of the nation’s greenhouse gas emissions. 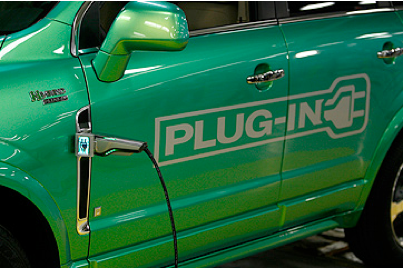 As with the green buildings movement, the emerging clean vehicles movement is bringing together players from across all sectors – industry, government, and citizens – with a goal of reducing the use of polluting fuels by cars and trucks. Alternative fuels and new types of propulsion systems, including battery-electrics, are among the solutions being pursued to help reduce the country’s greenhouse gas emissions as well as our dependence on petroleum fuels. The hosts discuss alternative fuels with Patrick Davis, Director of the Vehicle Technologies Program at the U.S. Department of Energy. The 5.8 magnitude earthquake that shook the Washington, D.C. area on Aug. 23 caused some damage to the Washington Monument, including façade cracks, that required it to be temporarily closed to the public for inspection. Sent to evaluate the damage were engineers and architects from the firm of Wiss, Janney, Elstner Associates, whose inspections required them to rappel down the sides of the 555-foot monument. 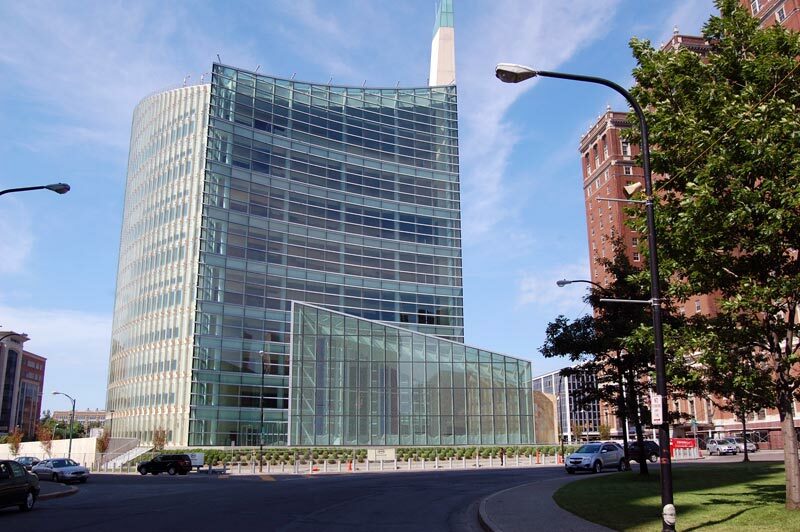 While this would have been an out-of-the-ordinary job for many companies, for Wiss, Janney, Elstner, it wasn’t unique, since WJE is known throughout the world for its ability to handle challenging inspections and construction problem-solving. Since its founding in the 1950s, the Northbrook, IL-headquartered company has investigated, tested and repaired more than 75,000 projects, of all types, many of which were just as difficult to access as the exterior of the Washington Monument. The hosts discuss some of these challenging and very interesting inspections with Bruce Kaskel, a Principal of Wiss, Janney, Elstner. 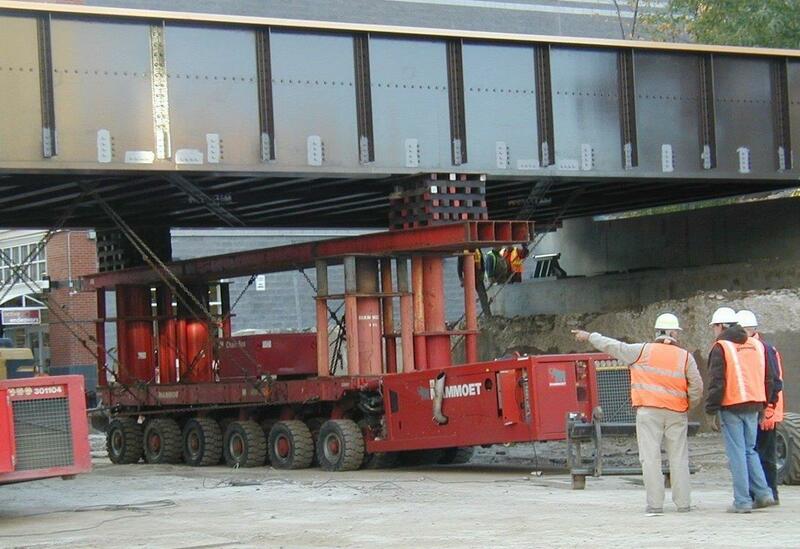 Chicago and Cook County, IL have the largest number of movable bridges in the world, a number of which are also historic. One such bridge is the Wells Street Bridge, a lift, or bascule, bridge over the Chicago River, which was built in 1922. The double-deck steel bridge, in downtown Chicago adjacent to the Merchandise Mart, carries vehicle and pedestrian traffic on the lower level and on its upper level carries the Chicago Transit Authority’s Brown and Purple Line trains to and from the Chicago Loop. The bridge opens to allow taller boat traffic to pass in certain seasons of the year. 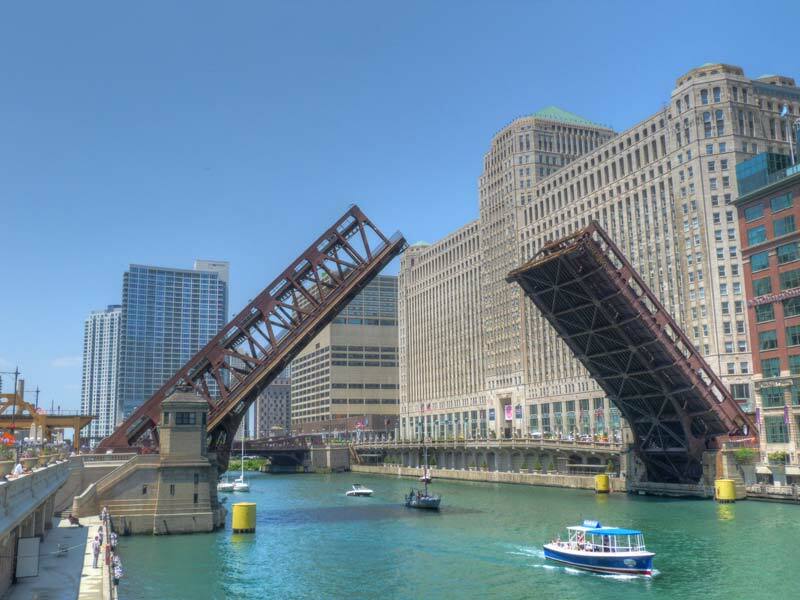 In September of 2012, the Chicago Department of Transportation plans to begin a major rehabilitation of the Wells Street Bridge. The hosts discuss this interesting project with Daniel Burke, Chief Bridge Engineer for the Chicago Department of Transportation. 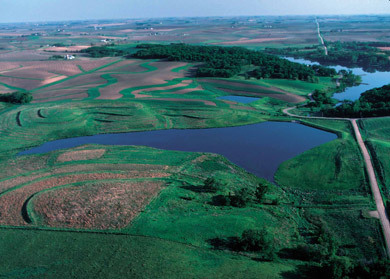 In 1993, following the Great Flood in the Midwest along the Missouri and Mississippi Rivers, a White House committee was formed to assess the causes of the flood and make recommendations for improved floodplain management in the future. Lead by Gerald Galloway, a Brigadier General in the U.S. Army Corps of Engineers, the committee’s report advocated stricter land-use regulations, increased investments in flood insurance, and better coordination of flood management between federal, state, tribal and local governments. 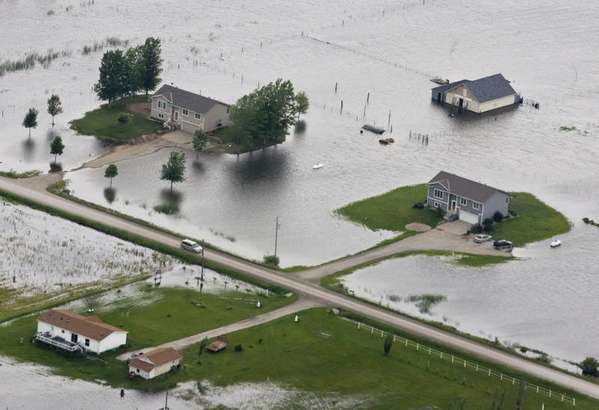 This spring, as the Missouri and Mississippi Rivers once again experienced severe flooding, the question many people were asking was “Why is this flooding happening again? Didn’t we make improvements after the Great Flood?” To answer that question, the hosts talk to the man most qualified to address it – Gerald Galloway, now a Professor in the Department of Civil and Environmental Engineering at the University of Maryland. The March 11, 2011 earthquake and resulting tsunami in Japan caused massive loss of life and property destruction on the northern coast and islands. In that same hard-hit vicinity, on the coast, is located the Fukushima I Nuclear Power Plant, which was flooded by the tsunami, and suffered a loss of backup power that led to a major emergency. A month later, on April 11, the Fukushima accident was classified as a Level 7 on the International Nuclear and Radiological Event Scale – the same level assigned to the Chernobyl accident in Russia in 1986. 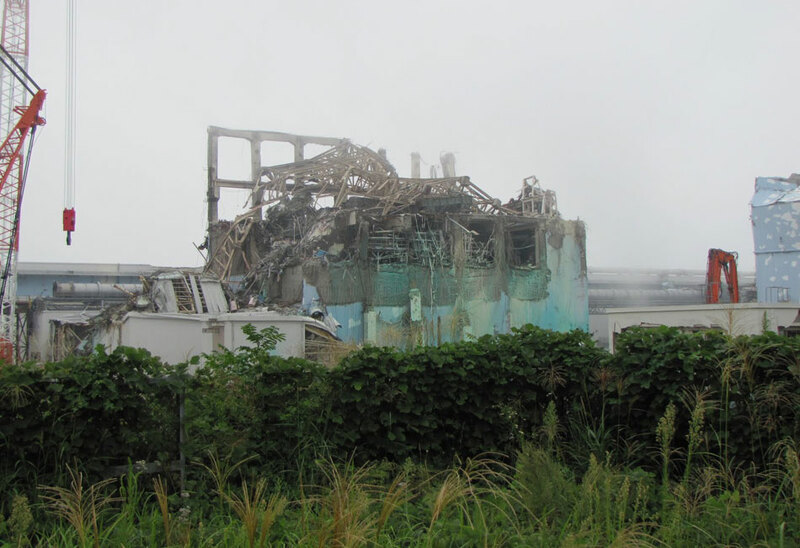 The hosts discuss the Fukushima I accident, and its implications for nuclear plant design, with Elmer Lewis, Professor Emeritus of Mechanical Engineering at Northwestern University. A frequent consultant to Argonne and Los Alamos National Laboratories, Dr. Lewis is author of the books Nuclear Power Reactor Safety and Fundamentals of Nuclear Reactor Physics. 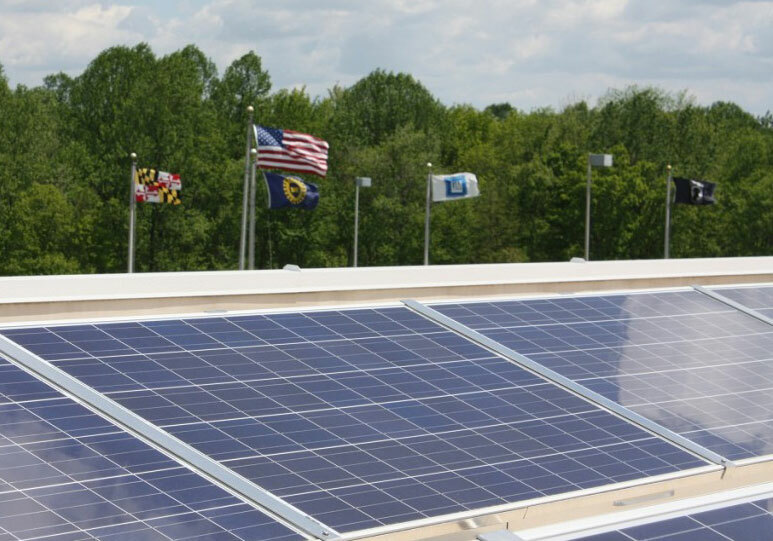 Solar panels on roof of General Motors’ Baltimore, MD plant. Assessing Electric Productivity in the U.S. The U.S. wastes a lot of energy, but in fact energy efficiency has been improving significantly in recent decades. However, this progress is not uniform – electric productivity in some states is markedly better than others. The details of this inconsistency, and the reasons for it, are examined in the report Assessing the Electric Productivity Gap and the U.S. Efficiency Opportunity – by the Rocky Mountain Institute, an independent, nonprofit organization in Colorado, dedicated to research in many areas relating to energy efficiency. The hosts discuss this report with one of its authors, Mathias Bell. The quest for transportation data – knowing how people travel is key to infrastructure management, but how can this data be collected? “If you can’t measure it, you can’t manage it,” is a commonly heard engineer’s truism. Yet many engineers who work in U.S. transportation unfortunately are faced with this dilemma on a regular basis. That is, they’re tasked with planning and managing infrastructure projects without having the detailed transportation data they need to make fully informed decisions. In this podcast, Professor Schofer shares with Tom the results of transportation and travel data studies he’s been involved with as part of a Transportation Research Board committee. The goal is to find ways to collect data on how people travel – whether by car, bus, train, truck, cycle or on foot; where they travel – the routes and localities; when they travel – what days, times of day; how often they travel; and why they travel. The challenge is to collect this information in ways that will be most accurate, but without seeming to intrude on people’s privacy. When a natural hazard, like an earthquake, strikes one country and causes great damage and loss of life, while another country, struck by a similar earthquake, is nearly unscathed, the difference often can be traced to preventive measures. Joining the hosts is Apurva Sanghi, Senior Economist at the World Bank, the team leader for the important book released last November by the World Bank and United Nations, Natural Hazards, UnNatural Disasters: the Economics of Effective Prevention. The natural hazards referred to in the title are earthquakes, droughts, floods and storms. The unnatural disasters are damages and death that follow in their wake, because of human action, or lack of action. The authors examine how governments can spend wisely to achieve effective prevention. 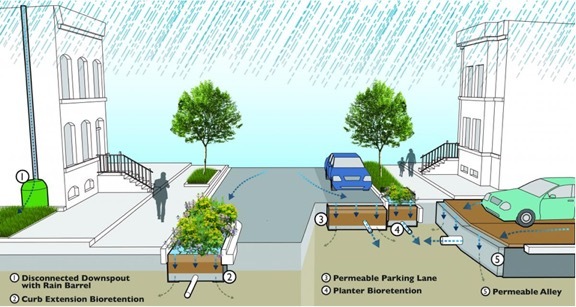 Over the past 20 years, “green infrastructure” has evolved into a sophisticated concept that cities and towns across the U.S. are beginning to use. That is, they examine ways to manage water, wastewater, energy and air quality with natural solutions like trees and plants, as well as a variety of man-made green products. Perhaps no city in the U.S. can surpass the City of Philadelphia’s embrace of green infrastructure. Their billion dollar project involves planting 300,000 trees, creating rain gardens and new wetlands, the installation of permeable pavement, green roofs, and more. In fact, their example is becoming a model for enlightened urban water resource management worldwide. The hosts discuss green strategies for storm water management with Glen Abrams, the Manager of the Philadelphia Water Department’s Office of Watersheds Planning and Strategic Policy. The Panama Canal, begun in 1879 by the French and ultimately completed by the United States between 1904 and 1914, is a 48-mile-long ship canal that crosses the country of Panama, allowing ships to travel between the Atlantic and Pacific Oceans. It is a key component of the global logistics system, carrying about 15,000 ships each year – the one-millionth ship transited the Canal in October, 2010. Professor Schofer, just returned from a trip through the Canal, discusses with Tom the history of the canal and the ambitious expansion program currently underway – scheduled to deliver larger locks and deeper channels by 2014. Rail transit connections between airports and city centers have become increasingly common and heavily used around the world in recent decades. A particularly high-profile link is now being constructed in the Washington, D.C. area – a 23-mile extension of the existing Metrorail system, which will connect East Falls Church, VA to Washington Dulles International Airport. It will serve the major employment areas of Tysons Corner, Reston, and Herndon, VA, and will connect into the 106-mile Washington Metro network to provide accessibility across the region. The hosts talk about this important venture with Sam Carnaggio, Project Director for the Metropolitan Washington Airports Authority, who is leading the extension project. 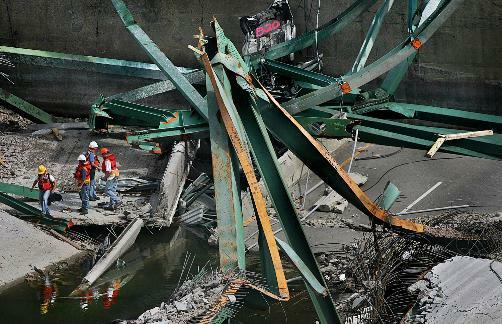 In the month of August, 2005 and again in August, 2007, the United States experienced major infrastructure failures – in New Orleans and Minneapolis – that stunned the country with their traumatic loss of life, and drew the attention of the world. 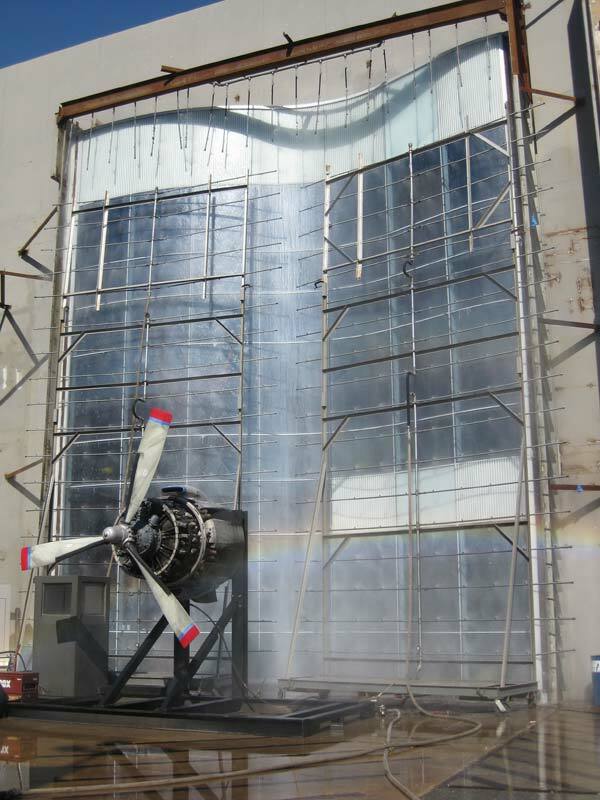 The causes of the failures were many: inadequate maintenance and inspection, vulnerable design, construction issues, as well as unexpected changes in loadings that exceeded the margin of safety. 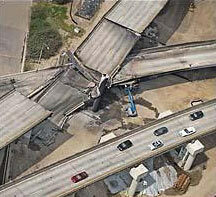 How common are structural failures of civil infrastructure? And what can we learn from them? The hosts discuss this important topic with Henry Petroski, a Professor in the Pratt School of Engineering at Duke University in Durham, NC, where he specializes in failure analysis. Imagine a bus that travels in its own dedicated lane at the speed of a subway train, dramatically faster than conventional buses; a bus that brings high-speed transit to areas of the city where subways don’t run; and the costs of which are far below those of rail rapid transit. Although this sounds “too good to be true”, this is one instance where a too-good-to-be-true idea has proven realistic, workable, and highly beneficial – both abroad and in the U.S. The hosts discuss this topic with Walter Hook, Executive Director of the Institute for Transportation and Development Policy, and co-editor of the book “Bus Rapid Transit Planning Guide”. Gas and oil pipeline safety in the U.S. There are about 2.3 million miles of natural gas and hazardous liquid pipelines in the U.S. 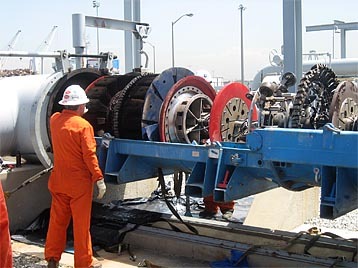 This pipeline infrastructure is overseen by the U.S. Department of Transportation, whose sub-department, the Pipeline Hazardous Material Safety Administration (PHMSA), is the main regulatory authority. The agency only has about 100 federal inspectors nationwide. The Pipeline Safety Law provides for Federal authority for regulation of interstate pipeline facilities, and a cooperative Federal/state gas and hazardous liquid pipeline safety program, where certifying state agencies could assume responsibility for intrastate pipelines. The hosts discuss this topic of pipeline safety with Cesar de Leon, former head of the Office of Pipeline Safety (now PHMSA), currently a pipeline safety engineering consultant. Photo of Ductal high-performance concrete project courtesy of Lafarge Ciment. Throughout history, materials used for infrastructure and transportation-related projects have followed a continuous course of development and change – from the first use of concrete in bridges by the Romans, to the first steel bridge, the Eads Bridge, built in 1874, and more recently to railroad bridges made of recycled plastic, something we discussed in a recent Infrastructure Show podcast. The hosts discuss this topic of new materials with one of the country’s top experts on the topic – architect Blaine Brownell, an Assistant Professor at the University of Minnesota’s School of Architecture, College of Design, and the author of the acclaimed book Transmaterials, which includes information on hundreds of innovative new materials for architecture. He also leads the design and research firm Transstudio. According to the U.S. Army Corps of Engineers, there are currently more than 85,000 dams in the U.S. Surprisingly, the majority of these dams are privately owned – the Association of State Dam Safety Officials estimates that fraction number at 65%. These private dams are under state regulation, but many state dam offices lack adequate operating funds, and as well, states differ widely regarding their safety standards. 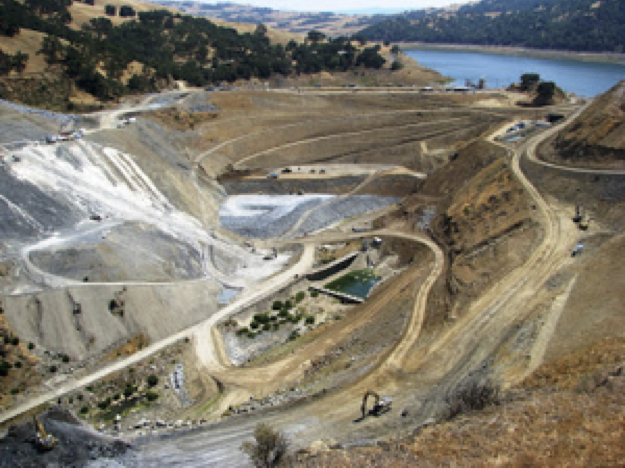 The publicized failures of two private dams this year – the 300-year-old Freetown, Massachusetts dam in March and the Lake Delhi dam in Iowa in July – have brought attention to the safety of privately owned dams. Just how safe are they? And who is responsible when they fail? The hosts discuss this topic with David Gutierrez of the California Department of Water Resources. He is Acting Chief in the Division of Dam Safety, and also is the current President of the Association of State Dam Safety Officials. The target condition for physical infrastructure on mass transit facilities in the United States is called the state of good repair, or SGR. The concept of the state of good repair is used to help gauge current and future needs for repairing and renewing buses, rail cars, bridges, and track. Based on analyses conducted by U.S. public transit systems, mandated by the U.S. Federal Transit Administration, many facilities have not met this mark, in large measure because of insufficient funding. The challenge faced by transit operators today, particularly managers of the oldest systems in the country, is to meet, or come close to that target with available resources. The hosts discuss this important topic with Christopher Boylan, Deputy Executive Director, Corporate and Community Affairs for the New York Metropolitan Transportation Authority, who will discuss the SGR challenges involved in managing the MTA. The inland waterway system of the United States, operated by the U.S. Army Corps of Engineers, includes 12,000 miles of commercially navigable rivers, canals and other waterways, and 240 locks. 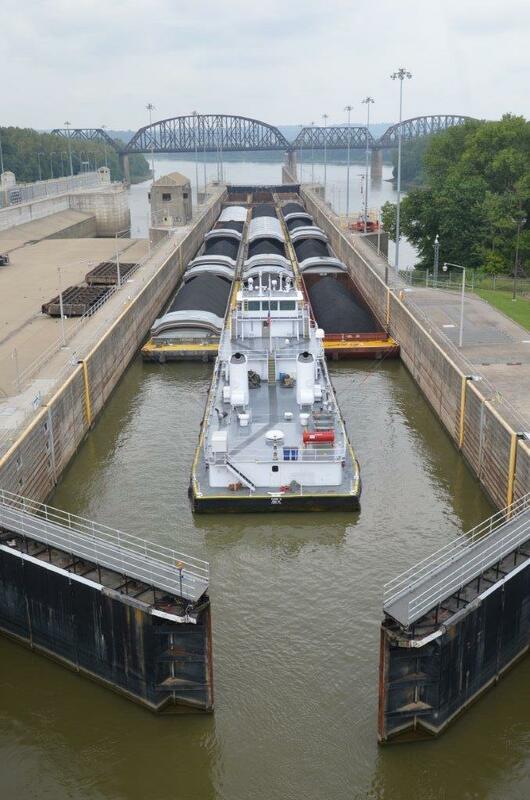 This system, which includes the Mississippi, Ohio, Columbia-Snake River systems and the Gulf Intracoastal Waterway, allows barges to transport cargo among 21 states. For bulk cargoes, barges are not only more fuel efficient than trucks and trains, but have fewer societal impacts as well. Yet, perhaps because the waterways are a rather hidden infrastructure, making the case for increased funding can be a challenge. How do we go about placing a value on this essential part of the infrastructure, and communicating this value to the public and decision-makers? The hosts discuss this topic with Bruce Lambert, Executive Director of the Institute for Trade and Transportation Studies, a multistate research institute – an economist whose prior position was as Senior Economist with the U.S. Army Corps of Engineers’ Institute of Water Resources. Earthquakes and structures in the U.S.
Two major earthquakes happening within a month of each other in early 2010 galvanized the world’s attention. Highly publicized was the role that building codes played in the differing losses of life in the two events, in Haiti and Chile. What are the implications of a mega-quake for buildings and other structures in the U.S.? Some people looking for the next “Big One” in this country are predicting the San Andreas Fault in California, others the Cascadia Fault near the Pacific Northwest or the New Madrid Fault in the Midwest. The hosts talks about this important topic with Dr. Sharon Wood, Civil Engineering Professor and Department Chair at the University of Texas-Austin. Corrosion of steel bridges, and of reinforcing steel in concrete bridges, is a major cause of bridge deterioration. The search for a wonder material that bears heavy loads, yet won’t corrode, has been a dream of infrastructure engineers for many years. And now perhaps such a material’s time has come. Recycled structural plastic composite – or RSPC – has been tested since the 1990s, beginning with railroad ties. More recently RSPC is being used in bridges of increasing size. This material is made of recycled plastics, such as milk containers and car bumpers, which might otherwise end up in landfills. The hosts talk with Vijay Chandra of Parsons Brinkerhoff, the principal in charge of the design of two RSPC rail bridges in Ft. Eustis, VA. They discuss the project – the largest bridges built to date of RSPC, to support the heaviest loads (120-ton locomotives used by the U.S. Army) – and also the potential for the use of this environmentally friendly material in future infrastructure projects. To sustain America’s infrastructure in the decades ahead, the critical issue is financing. This segment differs from the usual format in that there is no guest; instead the hosts discuss financing issues and options that have been touched on in some of the past podcasts. Each year the gap between U.S. infrastructure needs and available resources has been increasing. Where will the money come from to keep the system together, maintain it, sustain the quality of service and condition, and extend its life? The hosts discuss pricing highway use, raising transit fares, increasing fuel, sales, and other taxes, and other options for paying for infrastructure. They touch on the issue of fairness to low-income citizens, and dilemmas caused by political pressure. In many developed countries, citizens are willing to pay higher taxes and fees for their infrastructure. But Americans commonly expect we should get more for less. The hosts discuss how we can achieve the long-term thinking needed to address critical infrastructure funding. Bicycle transportation in the U.S. The pedal-driven, human-powered vehicle we know as the bicycle was invented in the 19th century. In many parts of the world today, bicycles are the main means of transport, and throughout the world they are important for use as recreational vehicles. Bicycles provide an economical, energy-efficient, low-emissions means of transporting people and cargo. For almost a century, however, the automobile has dominated non-motorized travel in developed countries. The bicycle has been regaining popularity in developed countries because of its appeal as a soft, energy-efficient mode of travel, and because of the exercise value it brings. Yet integrating bicycle traffic with automobile traffic involves a complex mix of city planning and road planning and design. European countries have been making significant advances in bicycle transportation over several decades, and now the U.S. is starting to catch up, with progress of its own. 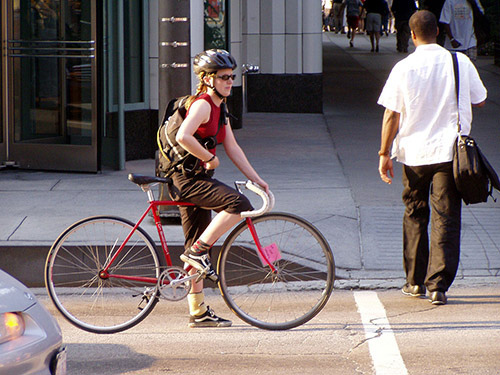 The hosts discuss this interesting topic with Gabe Rousseau, Manager of the Federal Highway Administration’s Bicycle and Pedestrian Program. The topic of this podcast is America’s power infrastructure — the power plants and transmission lines that make up the electric grid. Seventy years ago, in 1940, only 10% of energy in this country was used to produce electricity. Growing population and rapidly changing technologies have pushed this percentage to 40%, and the percentage is rising. While the country has been steadily adding electrical generation capacity, a key problem is that the transmission network in many areas of the country is outdated and can’t handle the peak demand for electricity. 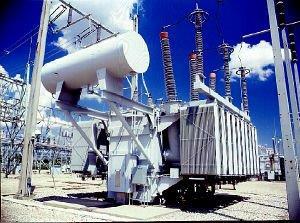 The hosts talk with Mark McGranaghan, Director-Distribution Research, for the Electric Power Research Institute (EPRI). 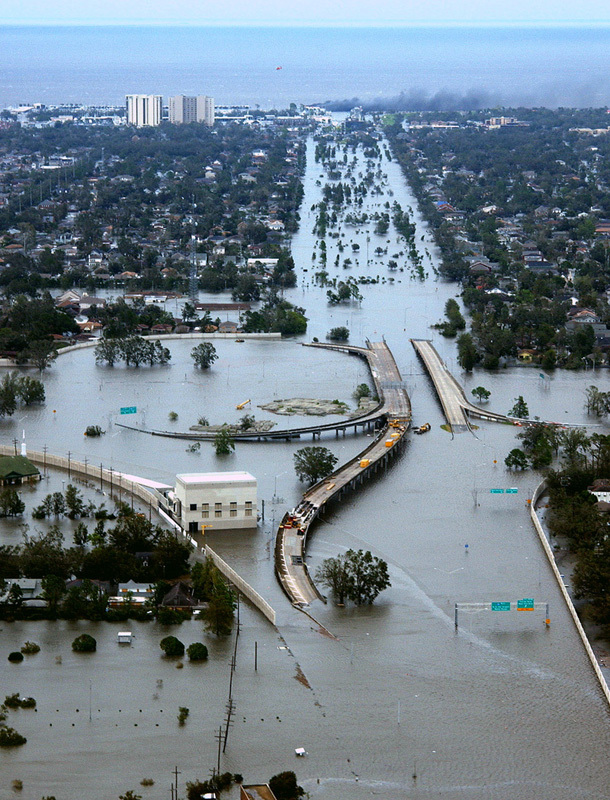 In 2006, following the damage done by Hurricanes Katrina and Rita, Congress authorized the U.S. Army Corps of Engineers to begin a number of projects designed to reduce the risk to the New Orleans metropolitan area from a 100-year storm. 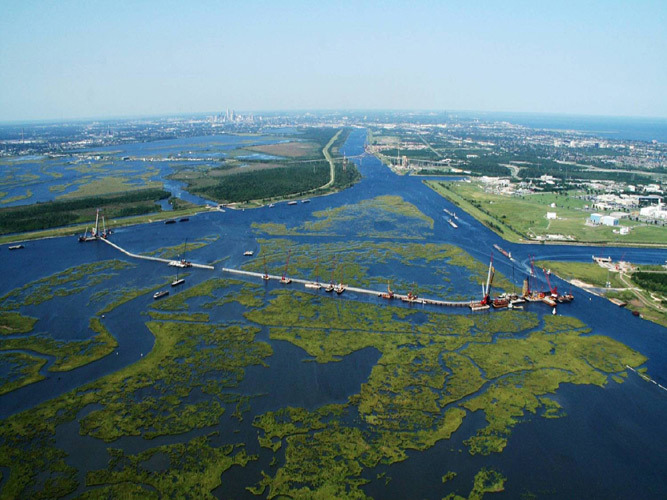 One of the largest projects in the plan is the Inner Harbor Navigation Canal Lake Borgne Surge Reduction Project – or IHNC Surge Barrier for short. It is the largest surge barrier of its kind in the world, stretching about 2 miles across the Gulf Intracoastal Waterway and the Mississippi River Outlet. Its purpose is to reduce the risk of storm surge from the Gulf of Mexico and Lake Borgne, protecting some of the most vulnerable areas in the region, including New Orleans East, New Orleans Metro, the 9th Ward and St. Bernard Parish. 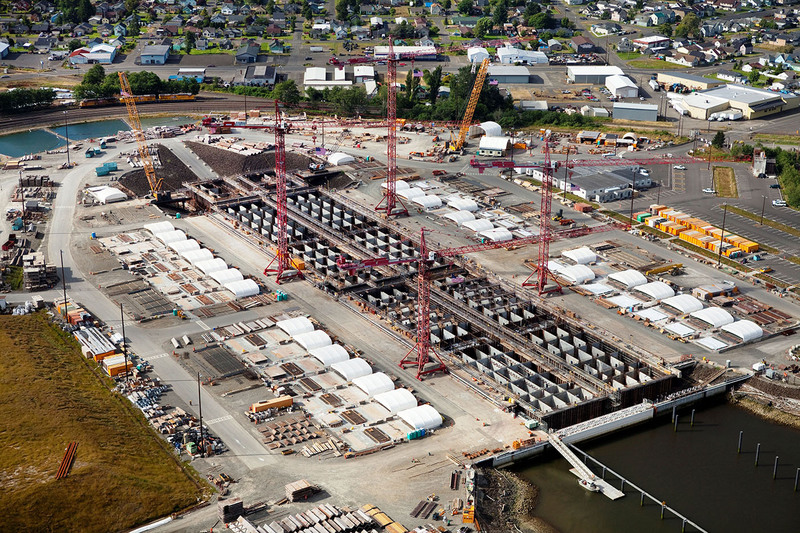 It is the largest design/build civil works project that the Corps has ever built, estimated to cost about $1.3 billion. The hosts talk with Rick Kendrick, Chief of Program Execution for the U.S. Army Corps of Engineers’ Hurricane Protection Office in New Orleans, which is overseeing approximately $5.9 billion of risk reduction construction projects in Southeast Louisiana, including the IHNC Surge Barrier. Hear the impressive story of how Dallas-Ft. Worth International Airport has become one of the country’s model green airports. DFW, the third busiest airport in the world in terms of aircraft movements and the seventh busiest in terms of passenger traffic, covers more than 29.2 square miles and supports more than 300,000 jobs. In 2008, DFW launched an airport-wide Sustainability Policy and Program, as part of the airport’s strategic plan. The key elements of the Sustainability Initiative to date include: environmental management, energy efficiency and renewable energy, waste minimization and recycling, wildlife management, safety management, emergency response, asset development, and a clean vehicle fleet program. The hosts talk with Jim Crites, DFW Executive Vice President of Operations, about these notable green achievements. Whenever a high-visibility infrastructure failure occurs, the main question everyone wants to know is: why? Was it a design error? A failure of materials? A result of human error? It is the job of the forensic engineer to investigate all the myriad of factors that might have led to a failure. Such investigations often are lengthy, and costly. But they are essential, to prevent recurrence of similar failures. The hosts talk with Dr. David Corr, Clinical Associate Professor in the Department of Civil and Environmental Engineering at Northwestern University, about this topic, with a focus on two significant infrastructure disasters: the collapse of the Mianus River Bridge on Interstate 95 in Connecticut in 1983, and the 2006 failure of ceiling panels in the Fort Point Tunnel – a part of the Big Dig in Boston. 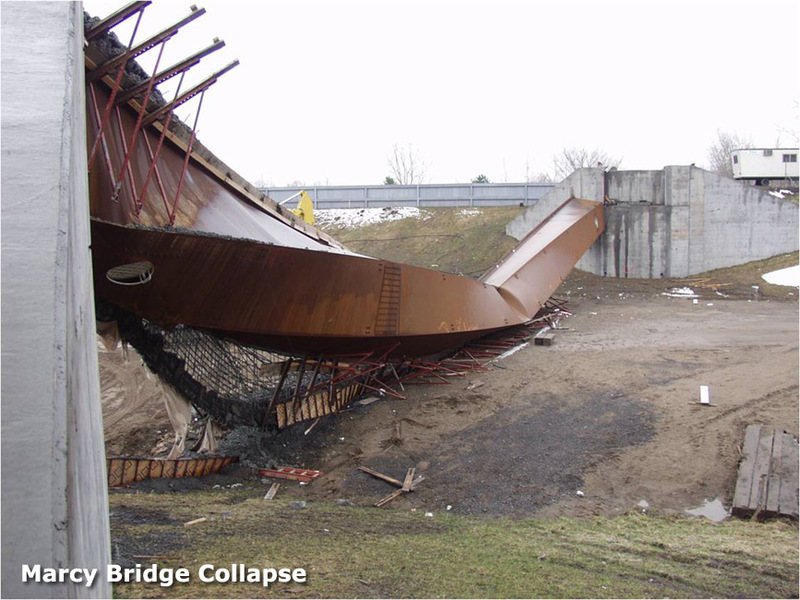 Also included are details on the Marcy Bridge Collapse, which occurred in 2002 in Upstate New York. 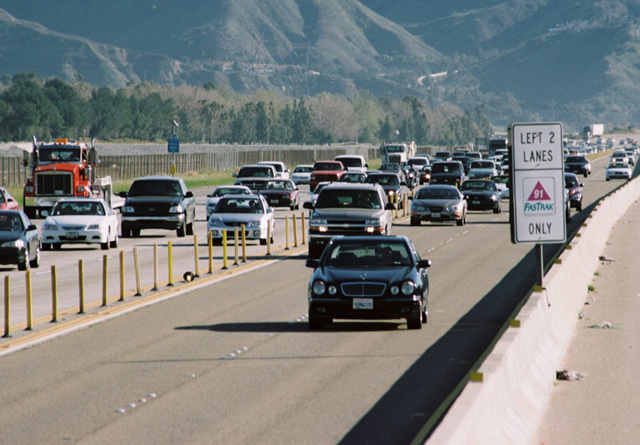 The 91 Express Lanes is a 10-mile road located in Orange County, California. Opened in 1995, it was the first privately financed toll road built in the U.S. since the 1940s. 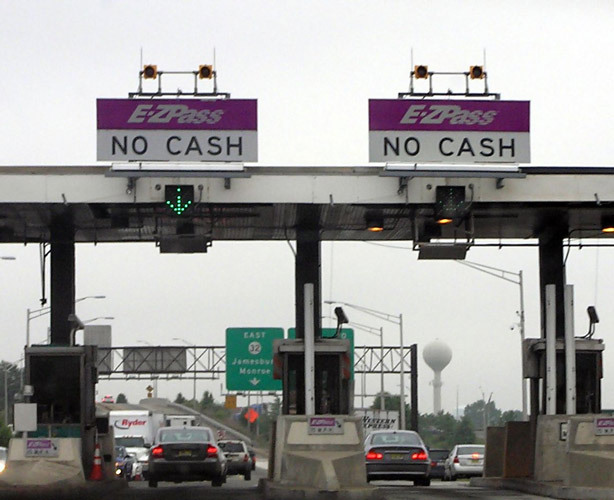 It was also unique in that it was the first fully automated toll project in the world, and also marked this country’s first application of congestion pricing, in which tolls increase at times of busiest road use, and decrease during less travelled hours, with high-occupancy vehicles paying discounted tolls. As with any project that was a first of its kind, the 91 Express Lanes have proved to be a learning experience, and they have been studied by transportation professionals around the world. 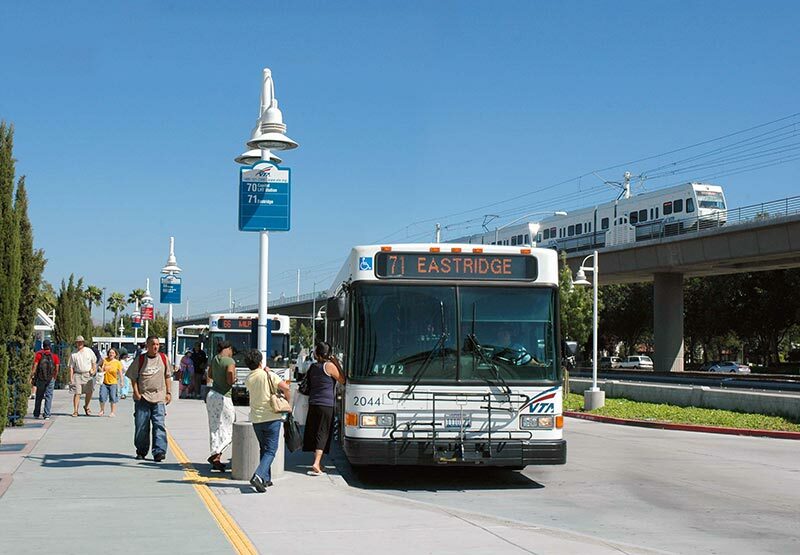 The hosts discuss this topic with Chris Norby, Member of the Orange County Transportation Authority’s Board of Directors, and Orange County Supervisor, 4th District. 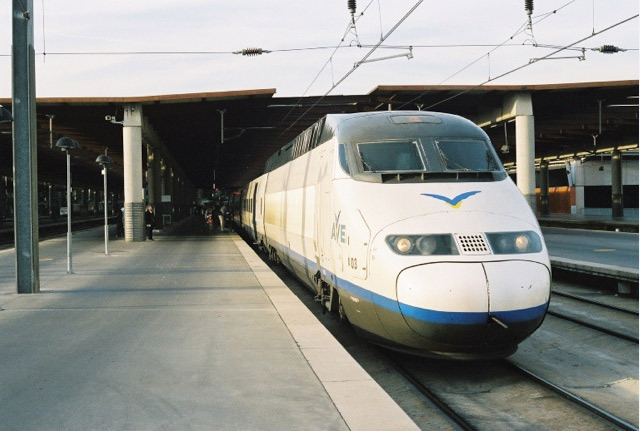 High-speed rail refers to passenger train service operating at an average speed of 124 mph or higher. Most European countries have extensive high-speed rail networks, as do Japan and China. The United States currently has no high-speed rail service. Although technically Amtrak’s Acela Express is a high-speed train, which does in fact briefly reach 150 miles per hour on some routes, its average speed is significantly less – for example, 80 miles per hour between New York City and Washington, D.C. High-speed trains have had real success abroad, but are market conditions in the U.S. suitable for this technology? The hosts talk with Rick Harnish, Executive Director of the Midwest High Speed Rail Association, about this topic, mainly focusing on the Midwest states. The Bayonne Bridge, completed in 1931, connects Bayonne, NJ and Staten Island, NY. The world’s fourth longest steel arch bridge, it stands 151 feet above the Kill van Kull tidal strait. 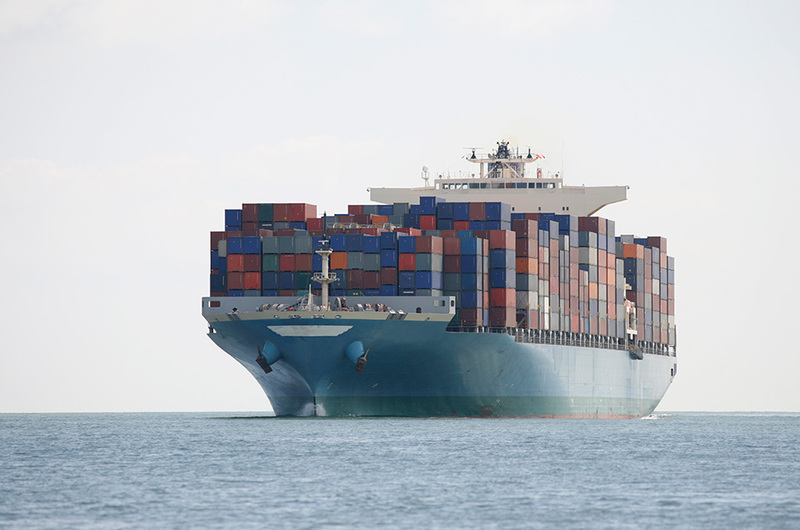 It is this 151 foot height above mean water level that presents the problem for container ships travelling to reach the container terminals at Staten Island and Port Newark. Some container ships today are too high to pass under the bridge, but this problem will become worse when the Panama Canal expansion is completed, and the next generation of larger container ships, called “Post-Panamax” vessels, will be afloat. 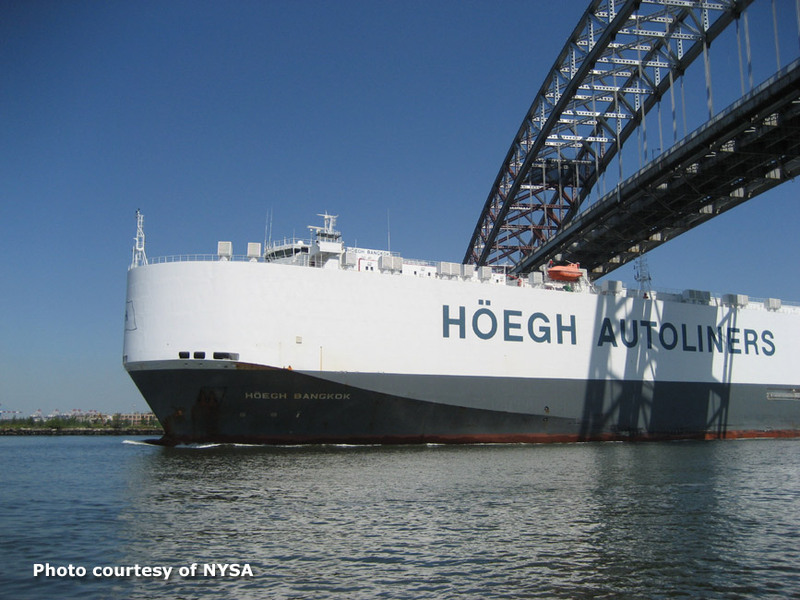 The hosts talk with Frank McDonough, President of the New York Shipping Association, about the challenge the Bayonne Bridge presents to New York and New Jersey shipping, and the options that have been discussed to address the bridge’s height problem. Inadvertent water loss – leakage – within water distribution networks is an infrastructure problem that exists throughout the country and around the world. 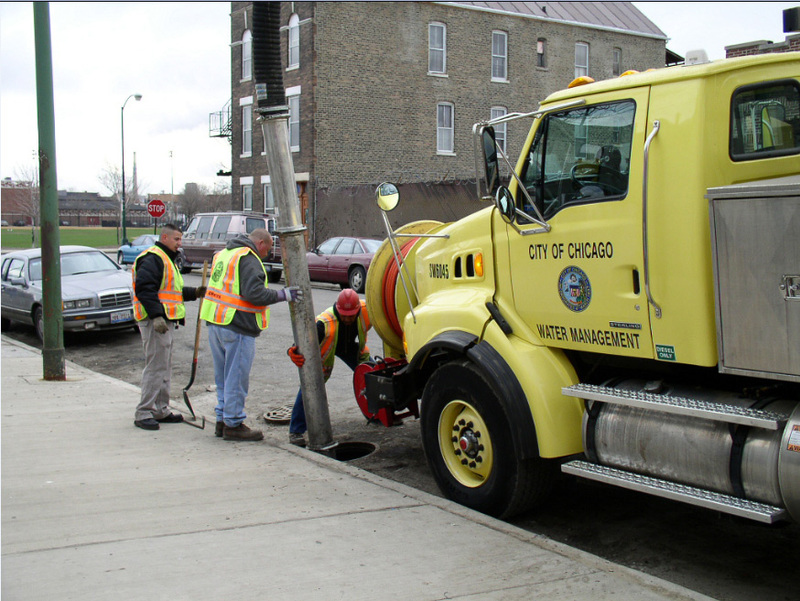 The hosts talk with Bill Bresnahan, 1st Deputy Commissioner of the Chicago Department of Water Management about the causes of leakage and how the City of Chicago addresses the challenge of stopping leaks. Chicago draws water from Lake Michigan via two intake cribs and processes it through the two largest water treatment plants of their kind in the world. The Department of Water Management’s 12 pumping stations send the water through more than 4,200 miles of distribution mains. These stations have a combined pumping capacity of some 2.1 billion gallons daily, and they distribute water to 2.9 million customers in the City and 2.5 million others in the nearby suburbs. The hosts talk with James Carter Jr., Chief Engineer for Bridges and Structures with the Norfolk Southern Corporation, about the impressive Heartland Corridor Project. 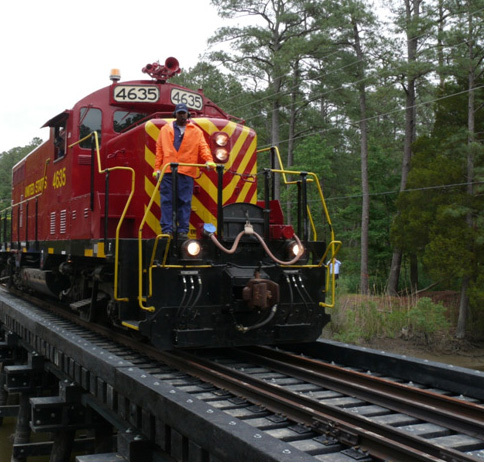 The Heartland Corridor Project is a collaboration between the Norfolk Southern Railroad and state and federal governments, intended to improve rail service between the Port of Norfolk and places in the Midwest. Among other elements of the project, it will provide a more direct routing for double-stacked container trains between Norfolk, Virginia and western Virginia, West Virginia, and Ohio, as far as Columbus. The project was begun in 2007, with completion anticipated in 2010. Included in the podcast is information on tunnel modification, intermodal terminals, double-stacked trains and freight, and funding. Two earthquake and dam experts from Northwestern University in Evanston, IL — Dr. Seth Stein, William Deering Professor of Earth and Planetary Sciences and Dr. Charles Dowding, Professor of Civil and Environmental Engineering — talk with the hosts about the magnitude 7.99 Wenchuan Earthquake that occurred in China on May 12, 2008, and the possibility that this earthquake was triggered by the operations of the nearby Zipingpu dam and its reservoir. They expand the discussion to include other examples of suspected dam/reservoir-triggered earthquakes, offering their thoughts on the benefits and risks of dam locations, and the ability of structures to withstand ground movement. Tom Taylor, Branch Chief of Surveys Coordination/New Technologies for Caltrans District 4, talks with the hosts about the advanced survey technologies used in rebuilding the I-580 ramp in Oakland, CA, totally destroyed in a tanker fire on April 29, 2007. This ramp is a critical element of the Bay Area freeway network. 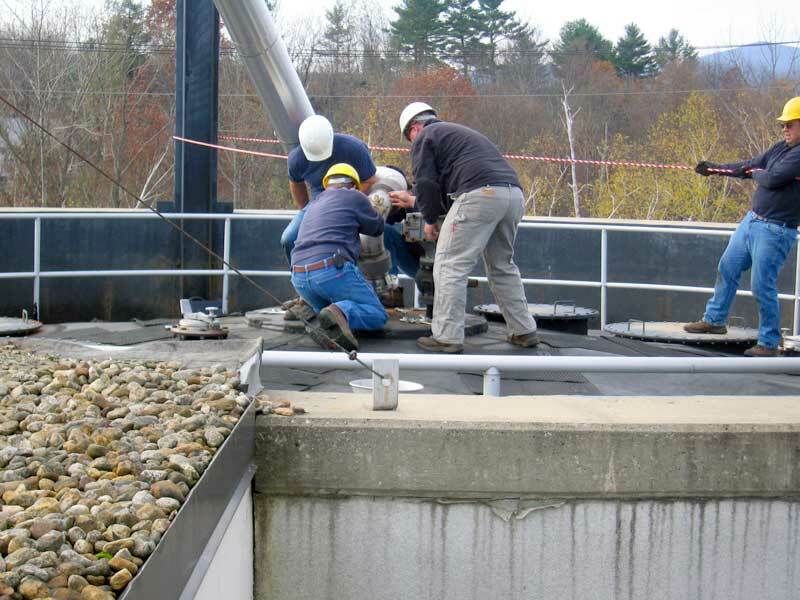 It was rebuilt in only 26 days in an extremely fast-track project that used innovative contracting methods and relied on extensive use of advanced measurement technologies. These included aerial photography and photogrammetry, laser scanning, and the use of advanced survey instruments for field measurement of the damage and exact position and dimensions of the remaining structure — thus defining the gap that needed to be filled by the replacement ramp. 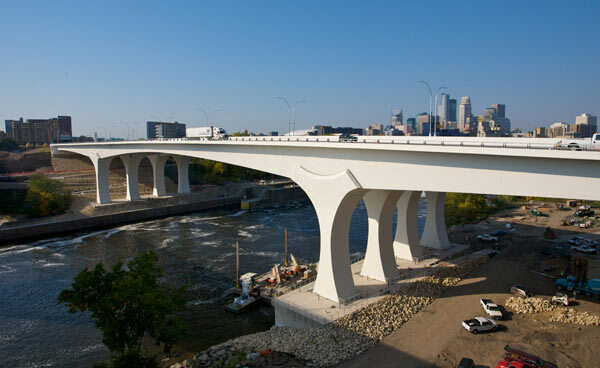 Interviewed is Linda Figg, whose company, Figg Bridge Engineers of Tallahassee, FL, designed the new Minneapolis I-35W Bridge to replace the I-35W Mississippi River Bridge that collapsed on Aug. 1, 2007. The new bridge opened on September 18, 2008. Linda discusses this fast-track project, features of the new bridge, and lessons learned from the bridge failure and replacement. The hosts introduce this series of podcasts with a definition of the infrastructure and a discussion of why it is important to us. They talk about trends in infrastructure characteristics and condition and consider why the infrastructure has been so much in the news recently. Then they move on to an assessment of the nation’s infrastructure, talking with Casey Dinges of the American Society of Civil Engineers about his organization’s Infrastructure Report Card. This broad assessment of our infrastructure is prepared by the ASCE every 5 years. 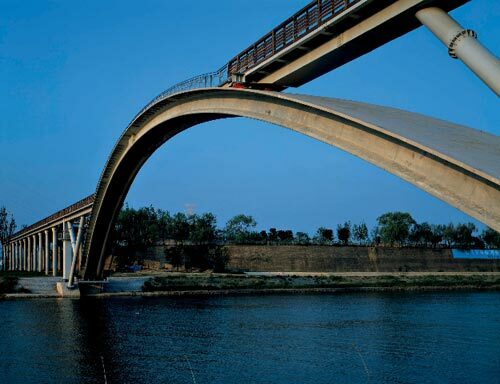 It grades the condition of our bridges, dams, roads, rail systems, inland waterways, and 10 more systems. Casey describes the most recent Report Card, released in January of 2009.